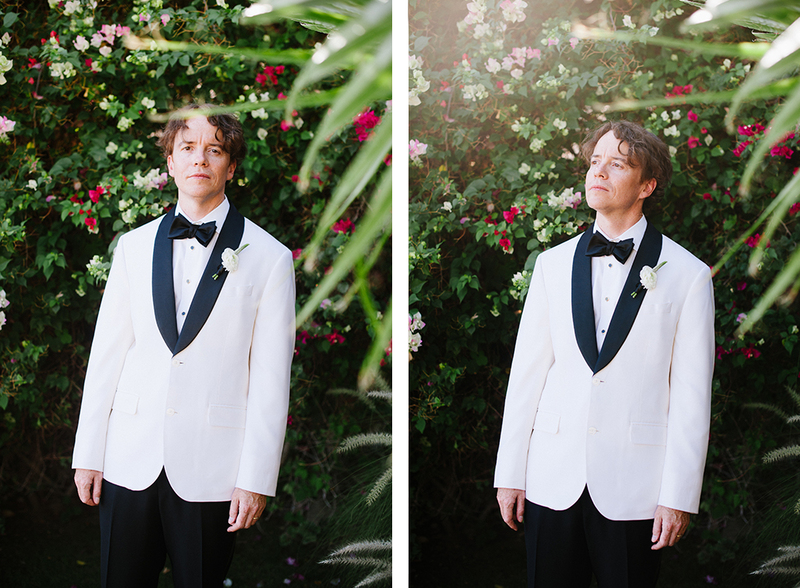 I have wanted to photograph a wedding in California ever since I started this crazy, awesome photography business 12 years ago and this year I photographed two weddings in California! 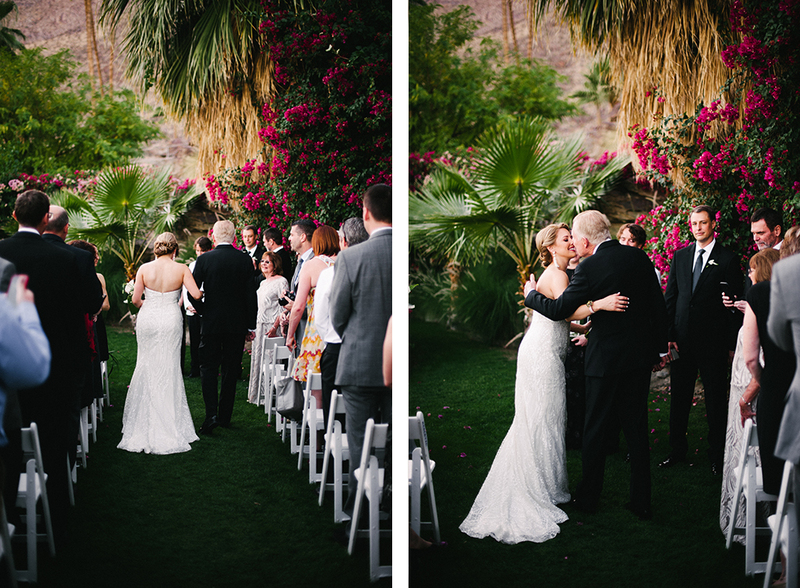 It took a lot of blood, sweat and tears (quite literally) but I finally did it! 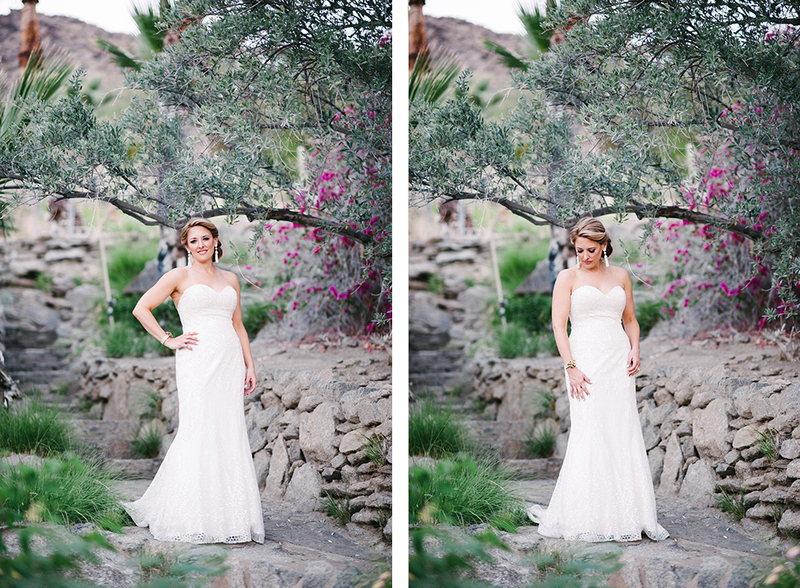 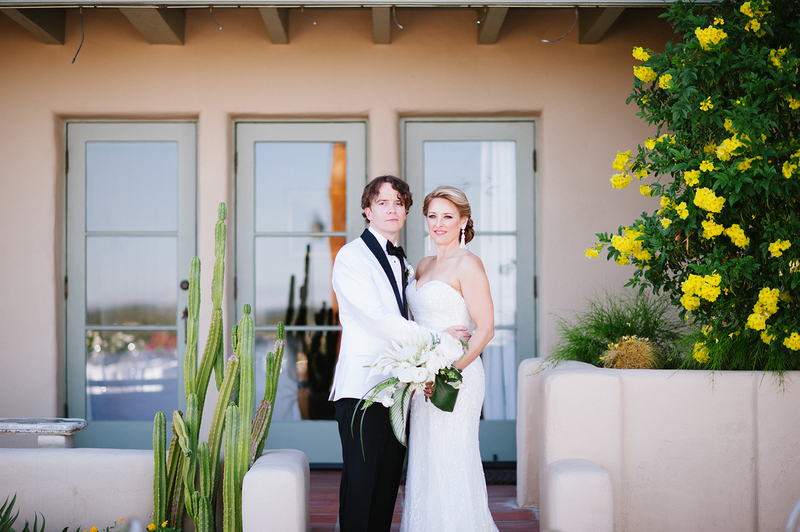 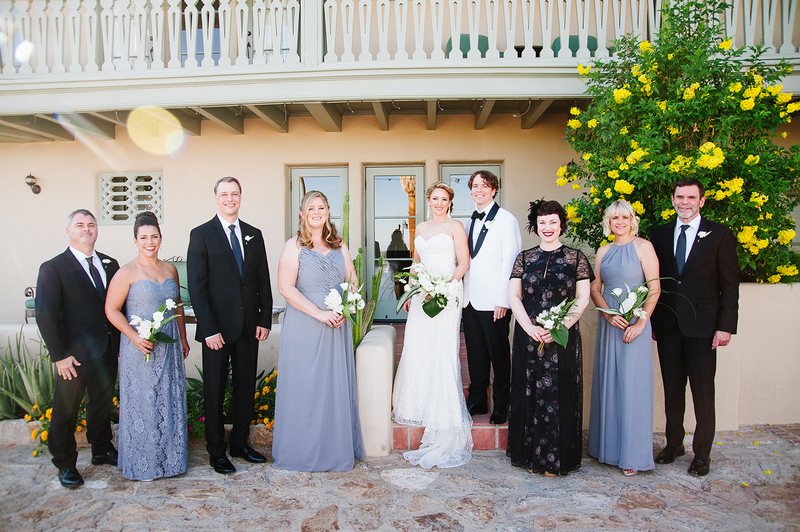 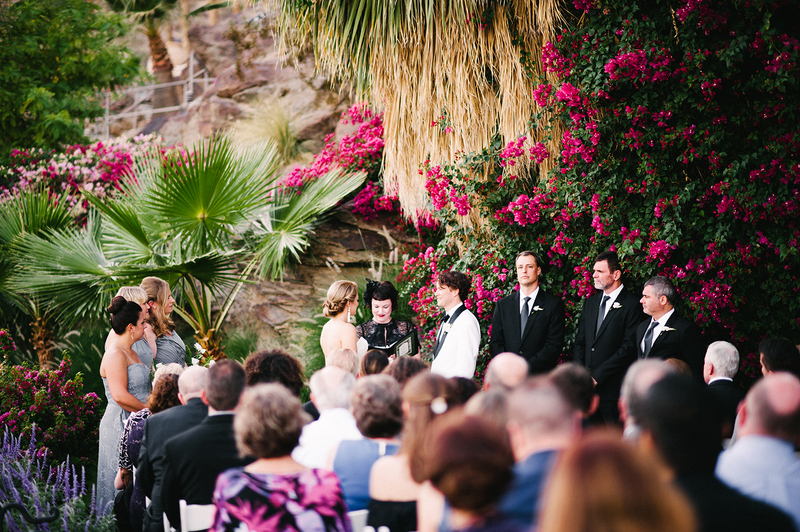 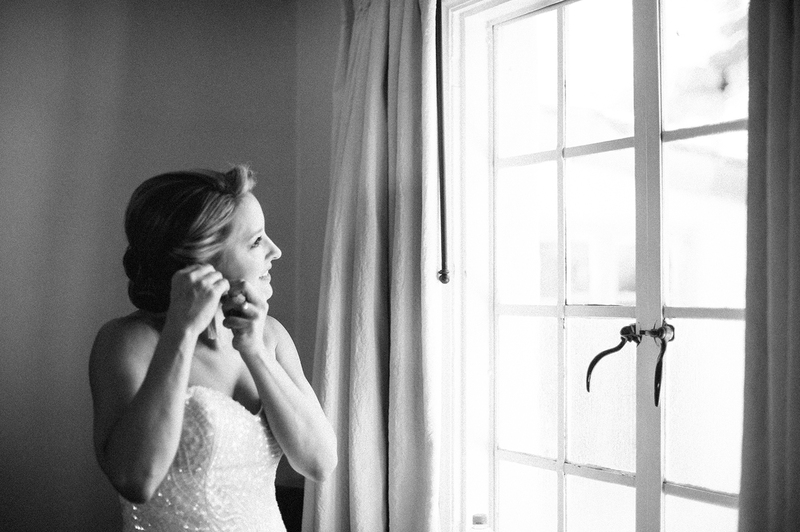 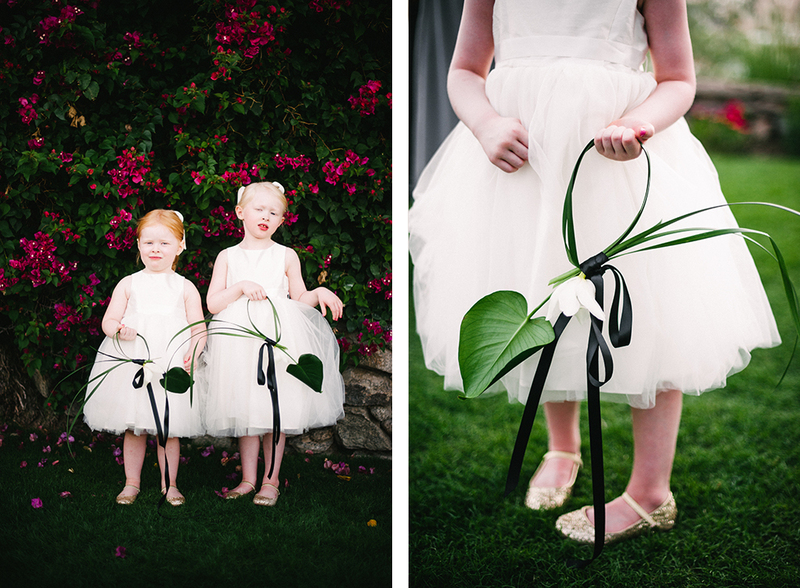 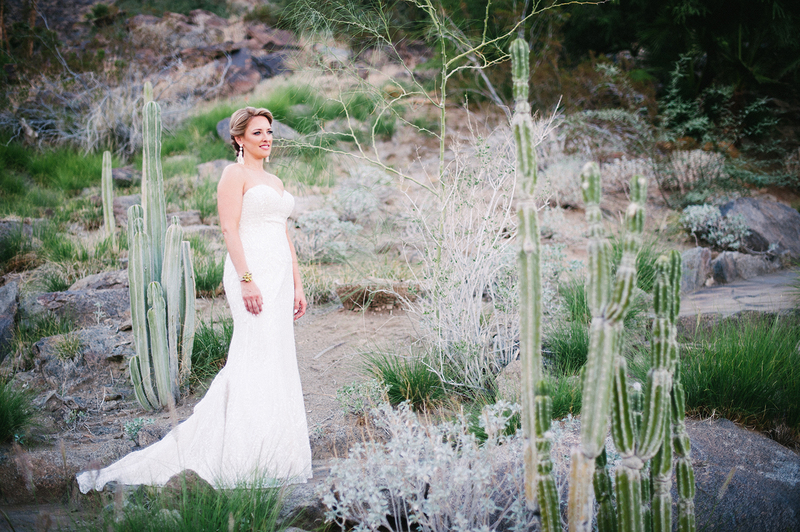 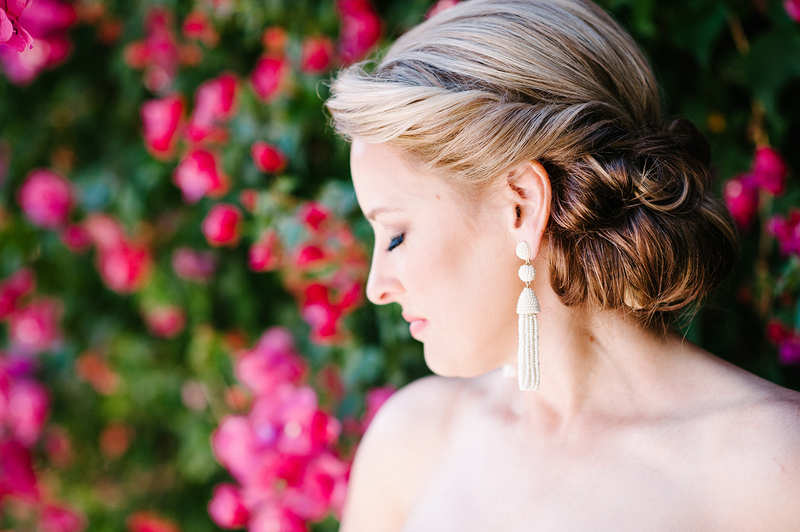 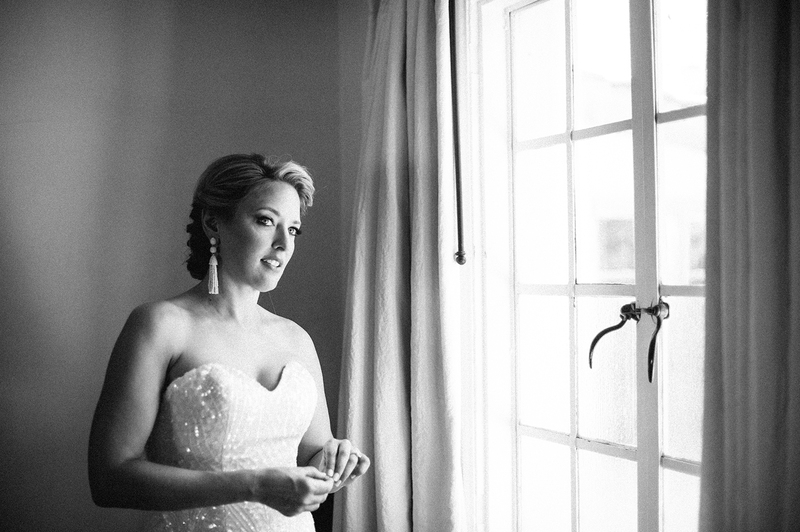 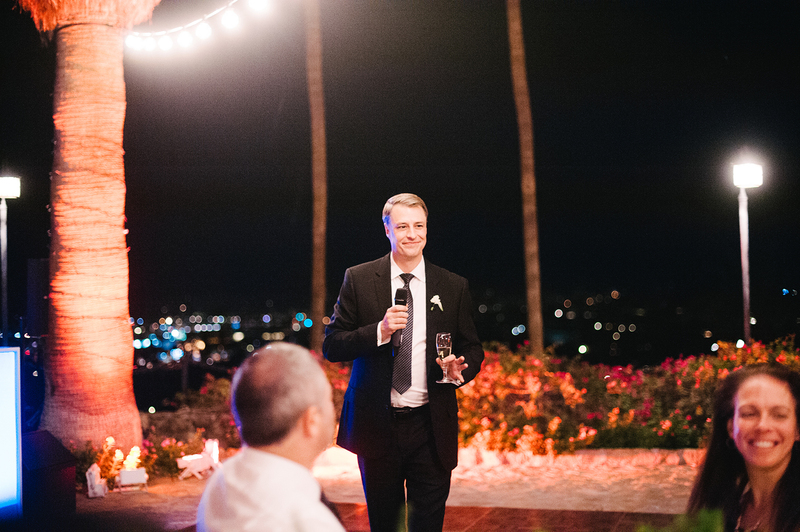 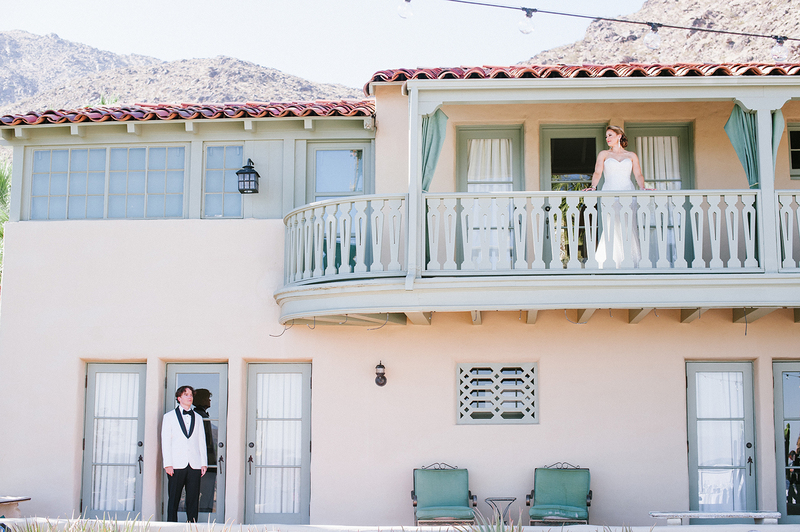 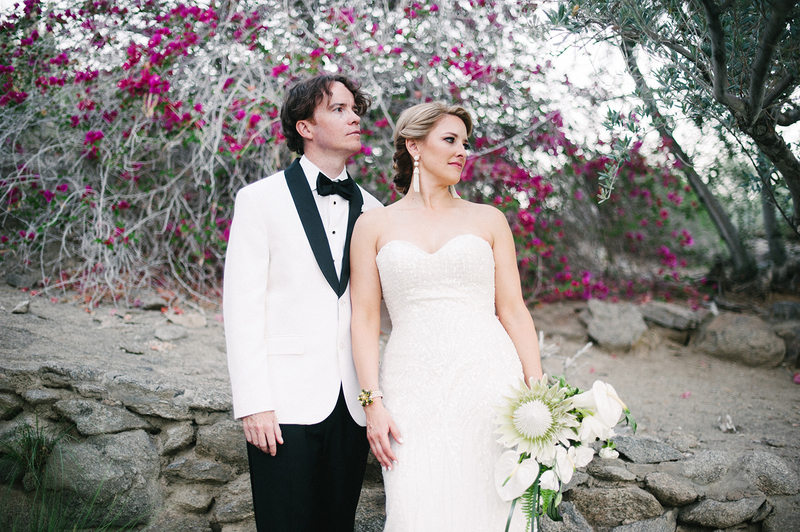 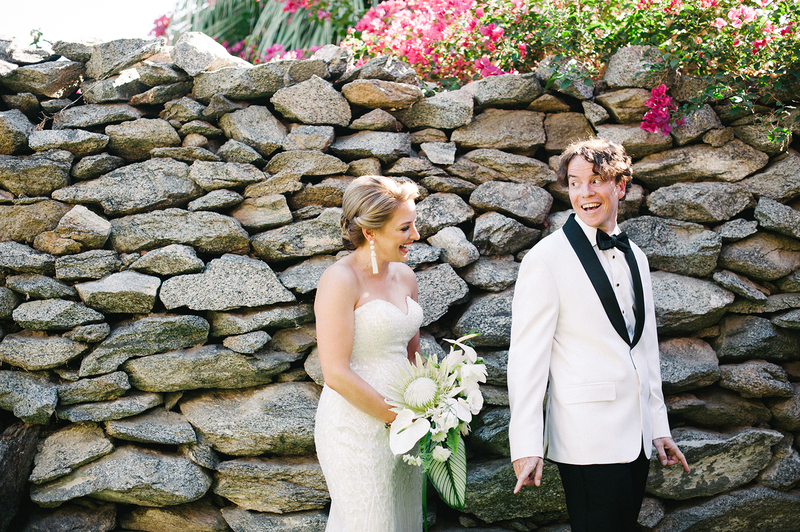 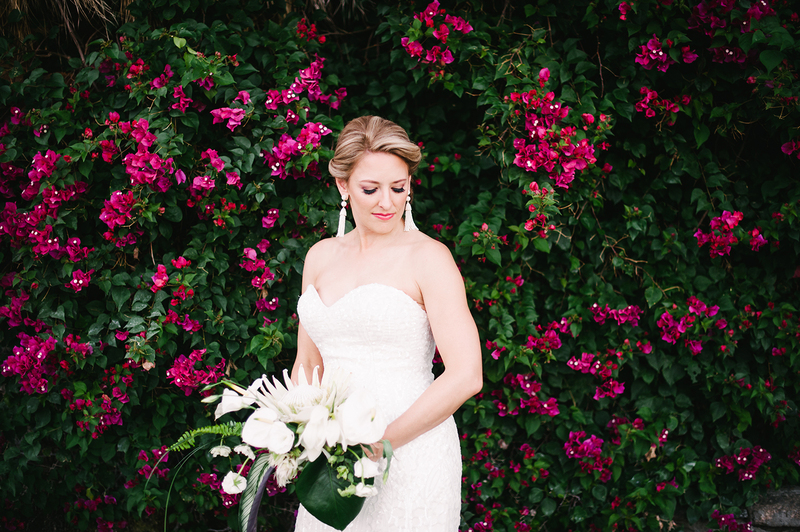 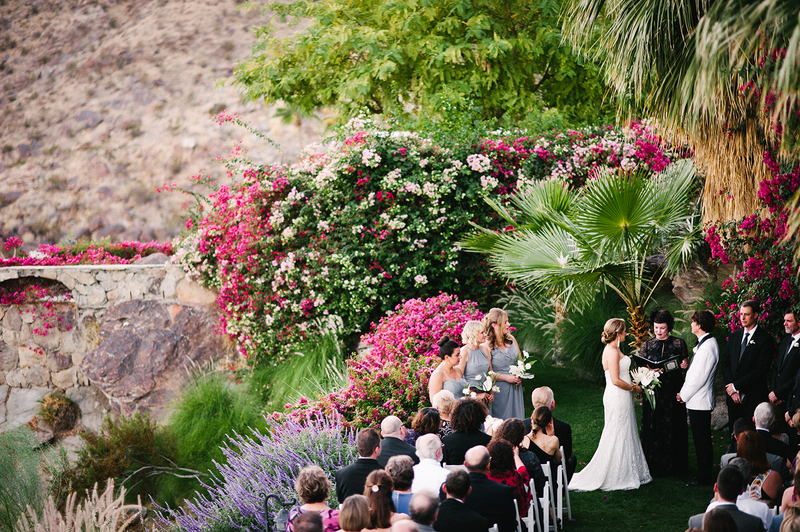 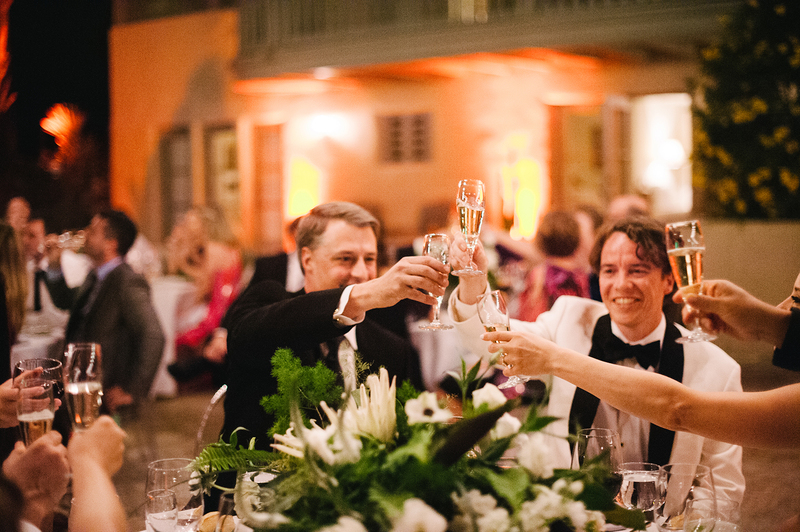 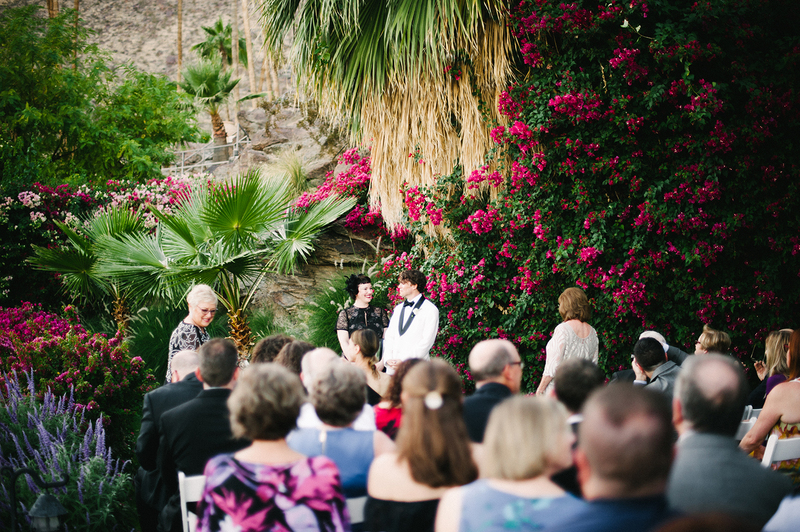 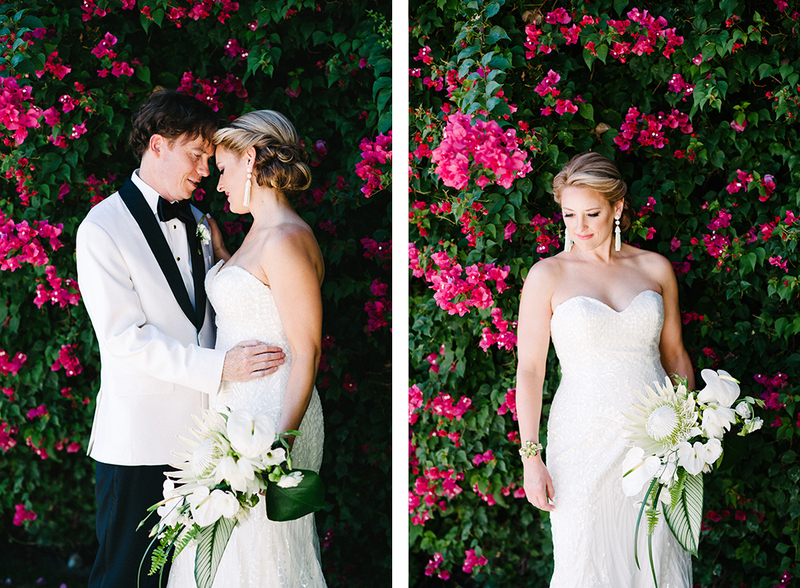 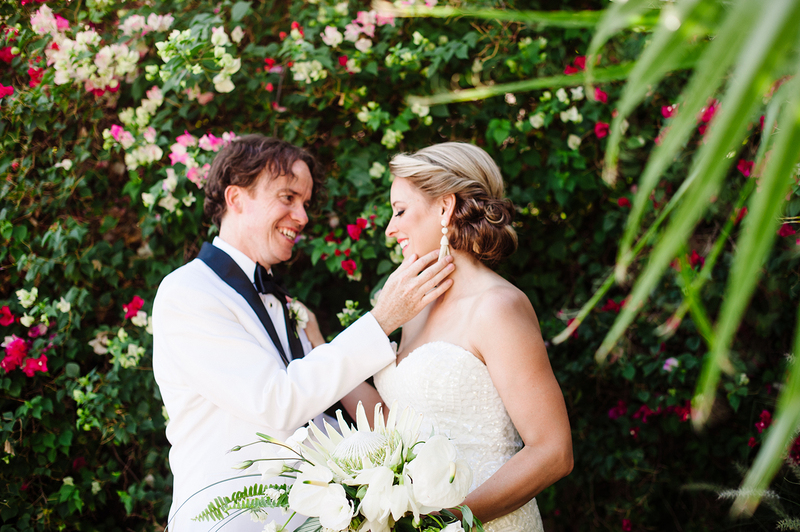 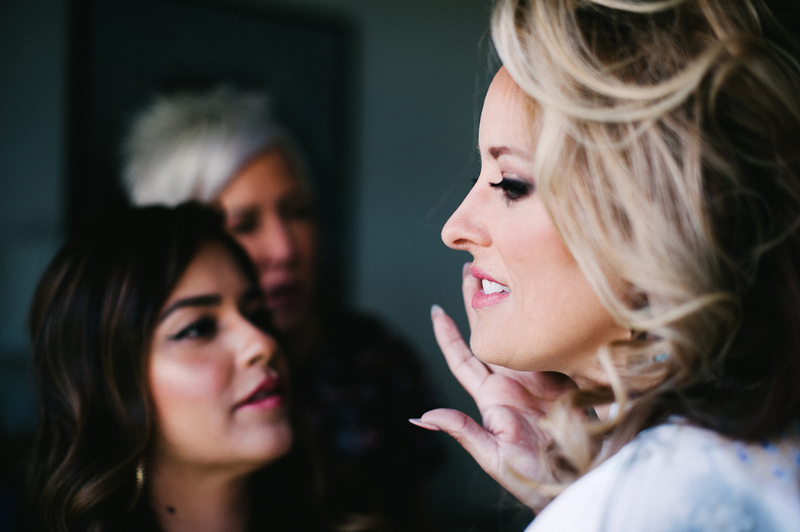 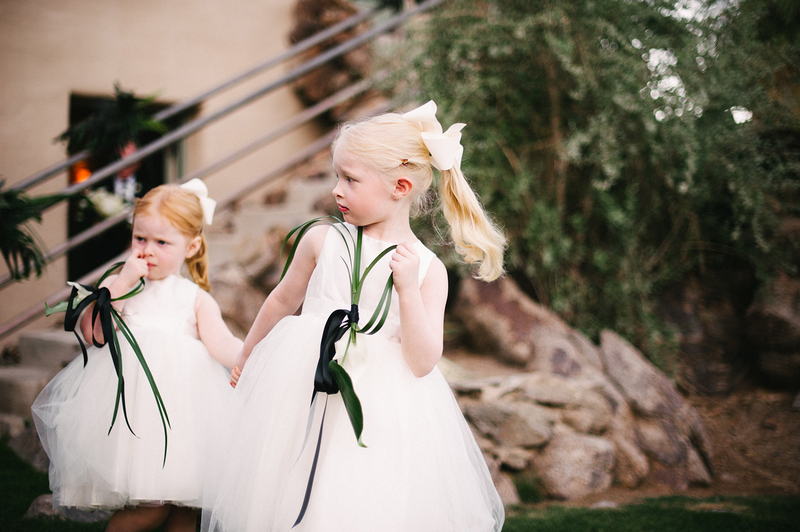 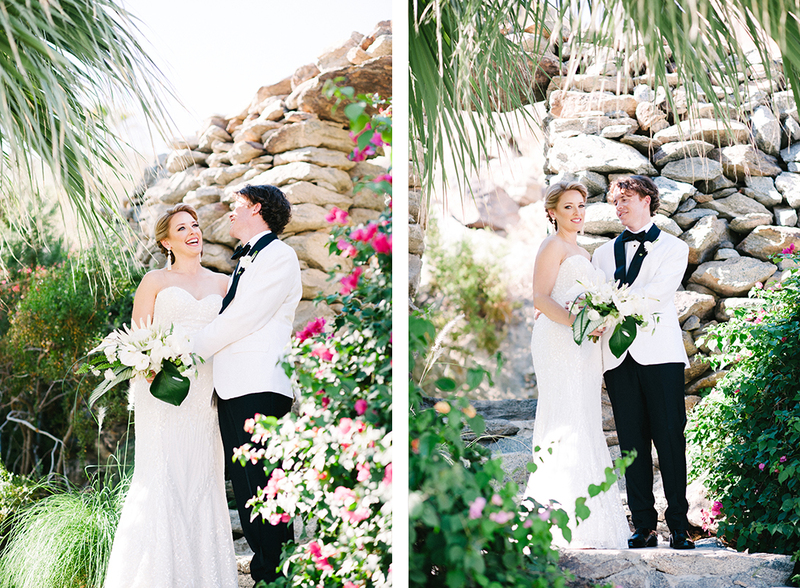 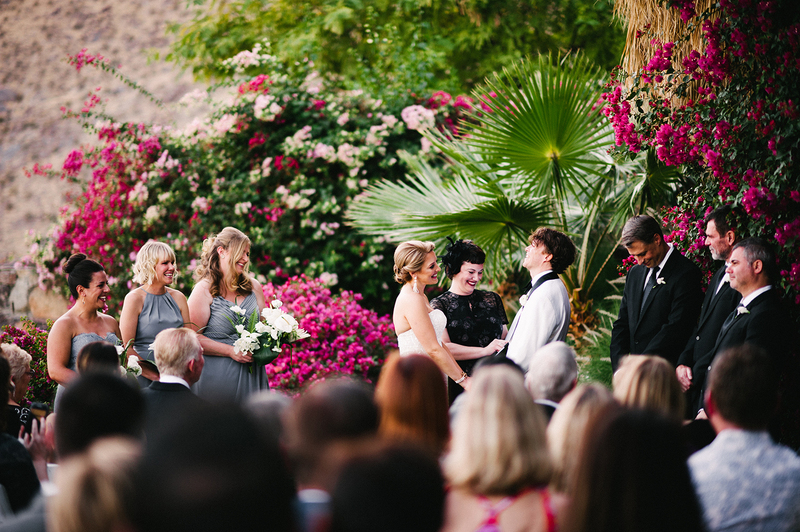 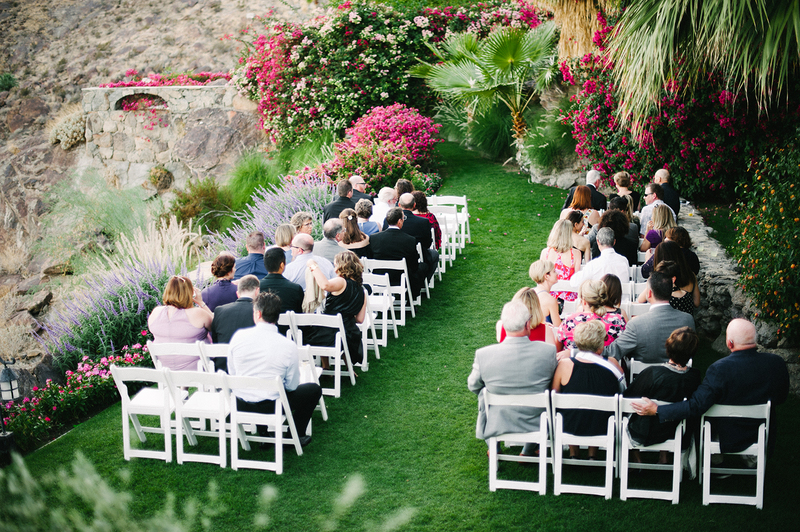 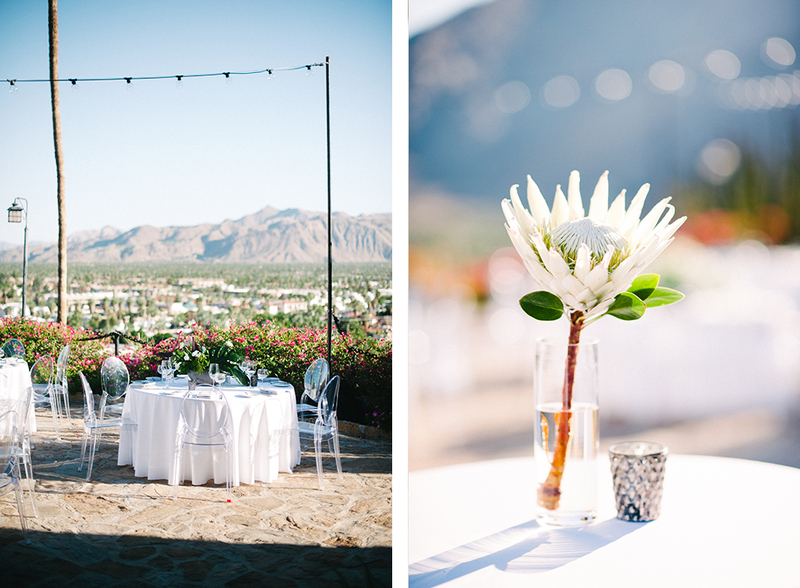 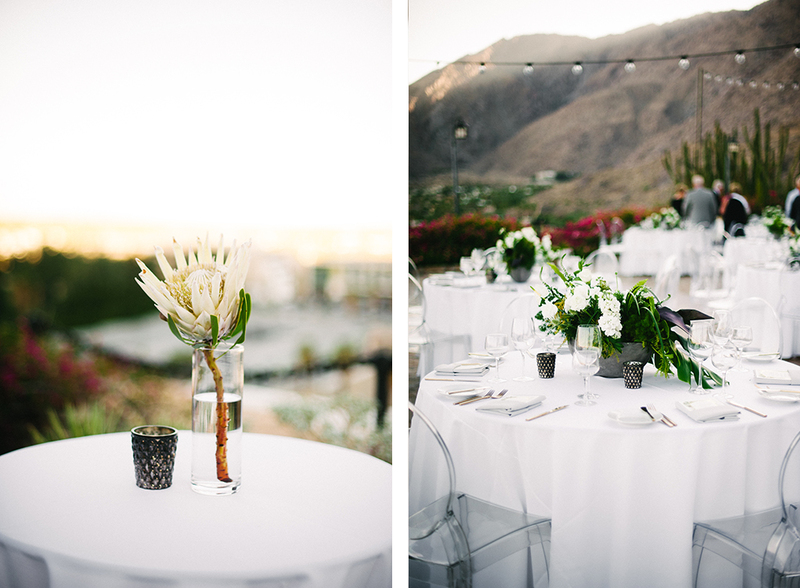 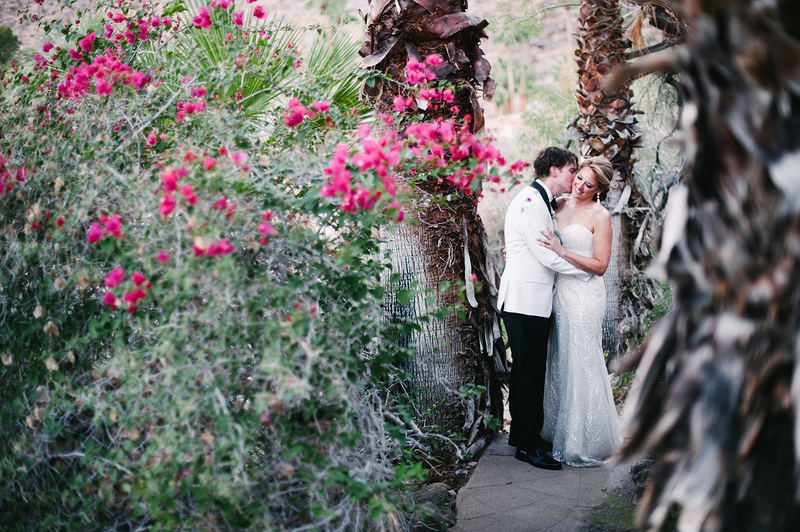 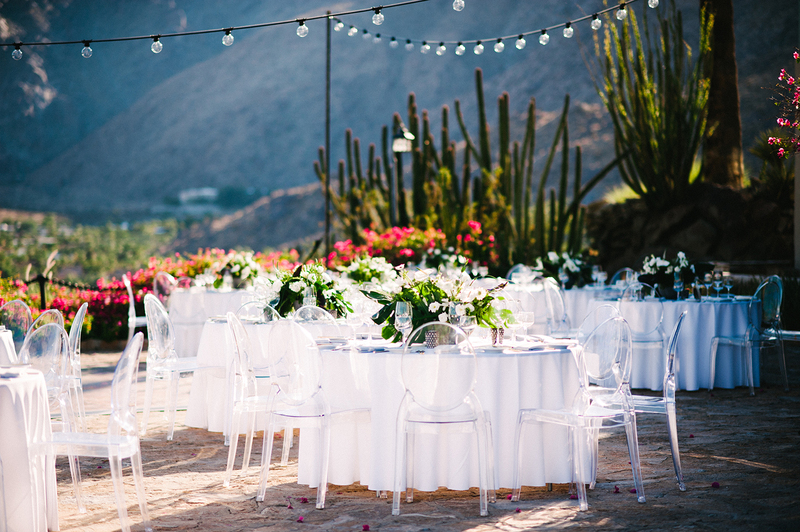 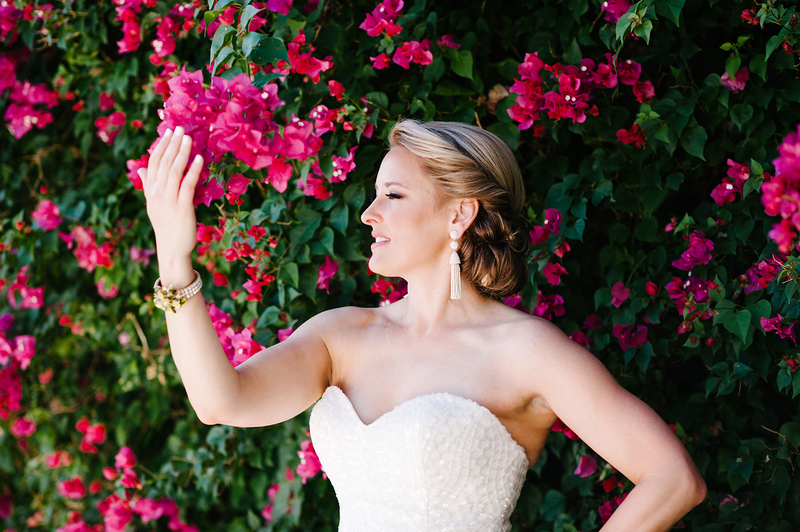 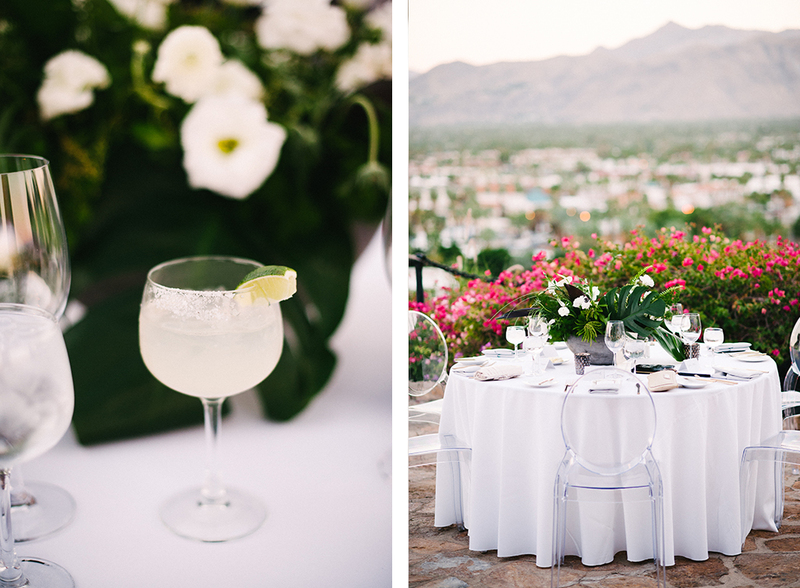 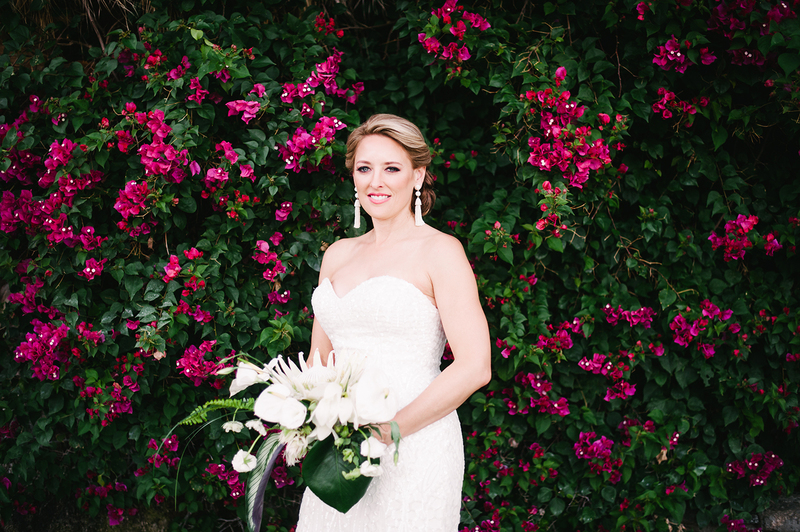 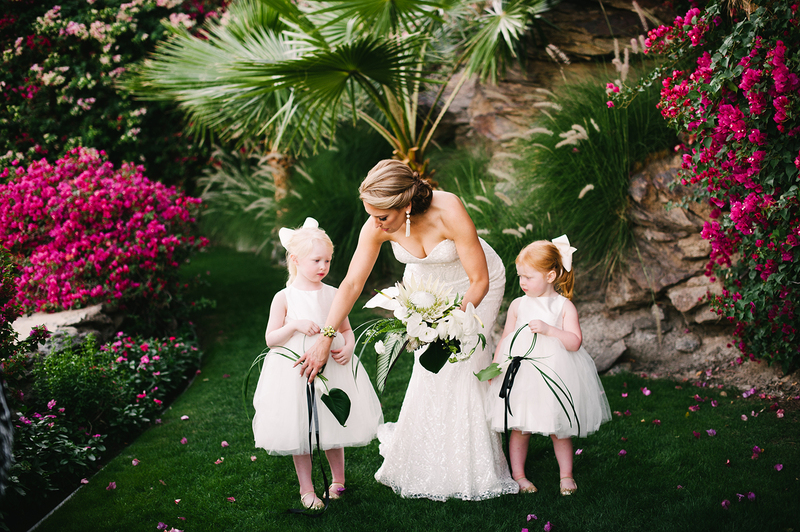 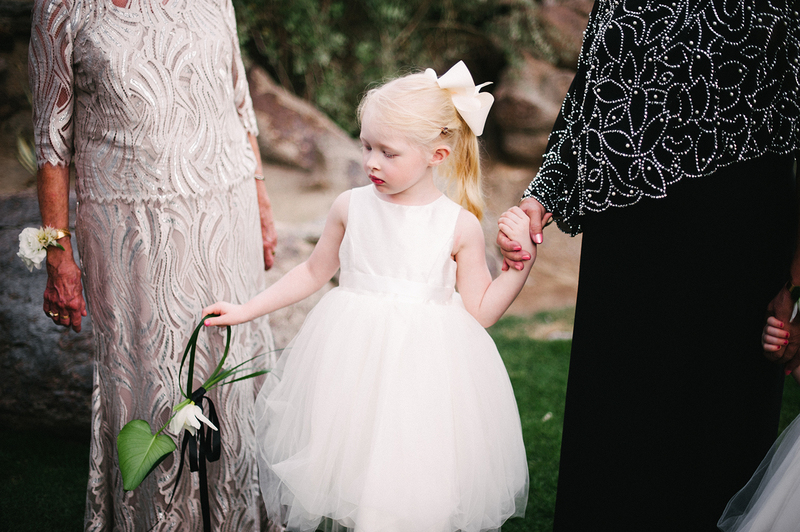 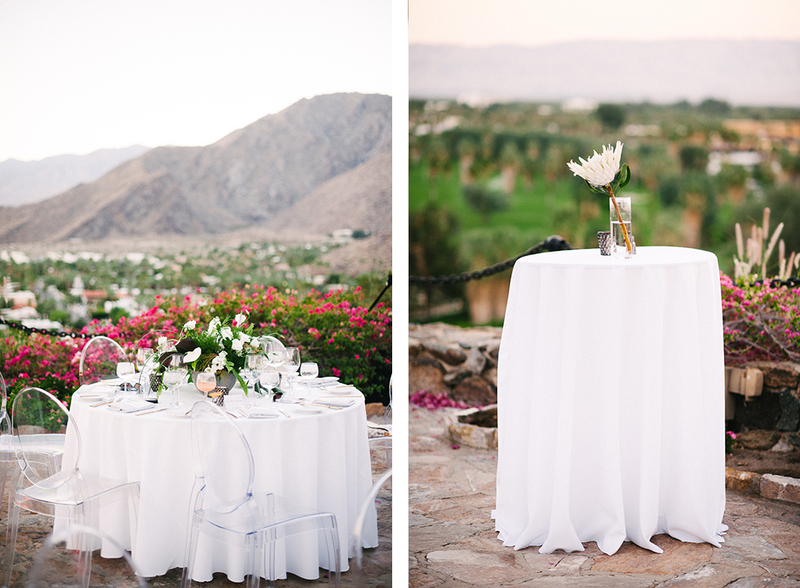 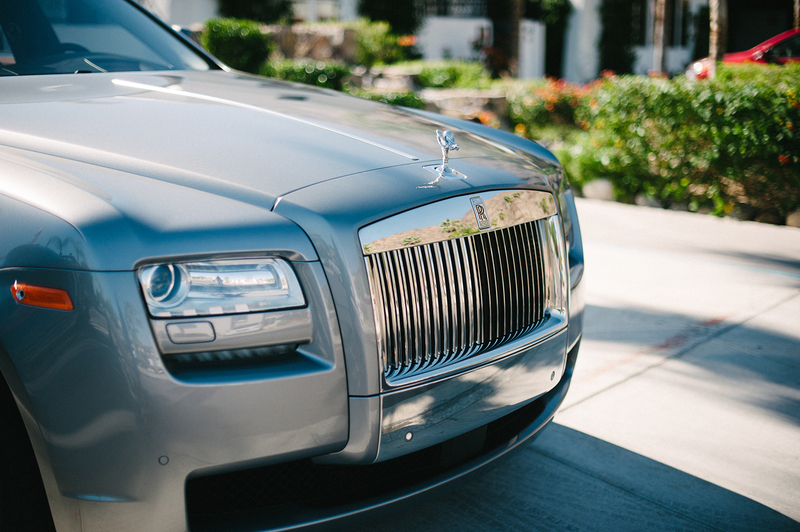 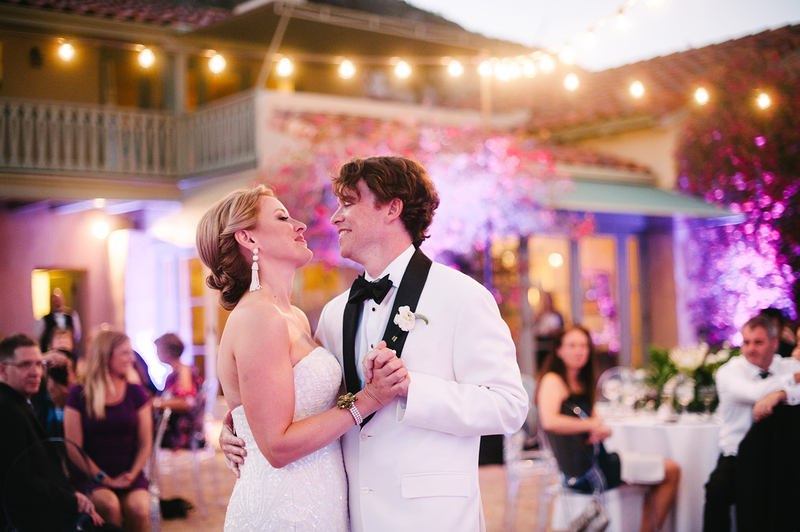 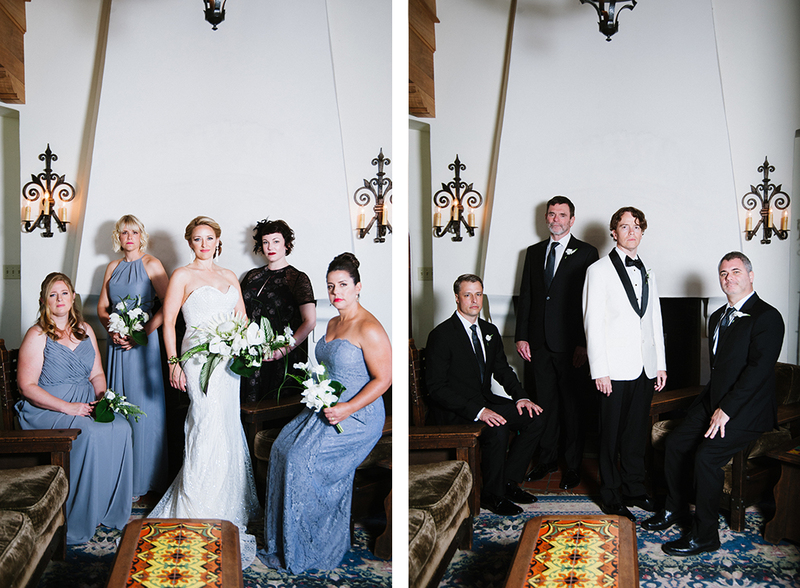 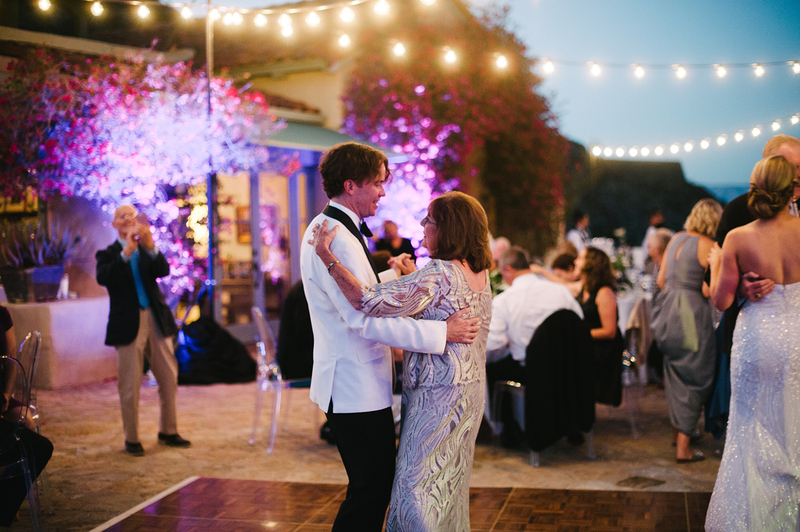 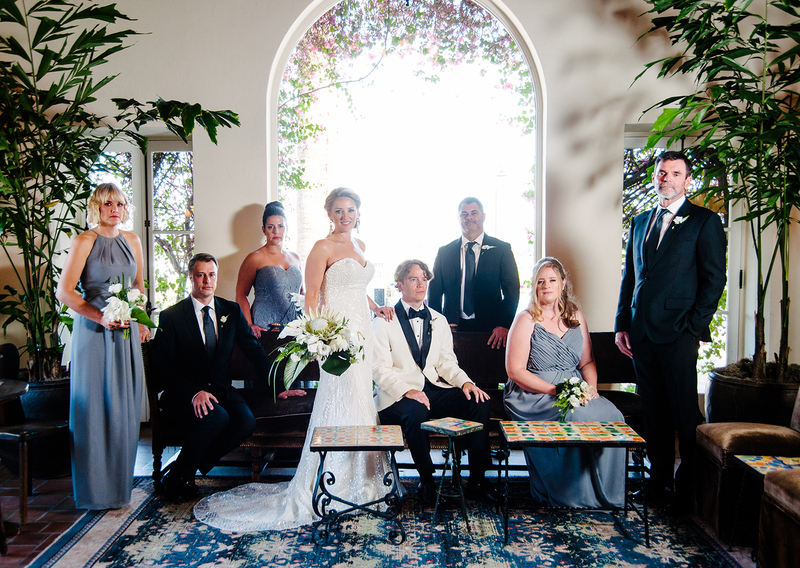 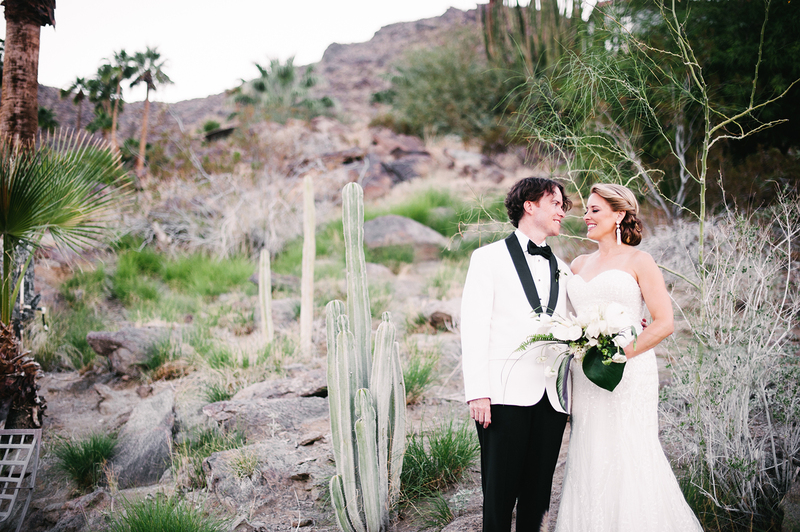 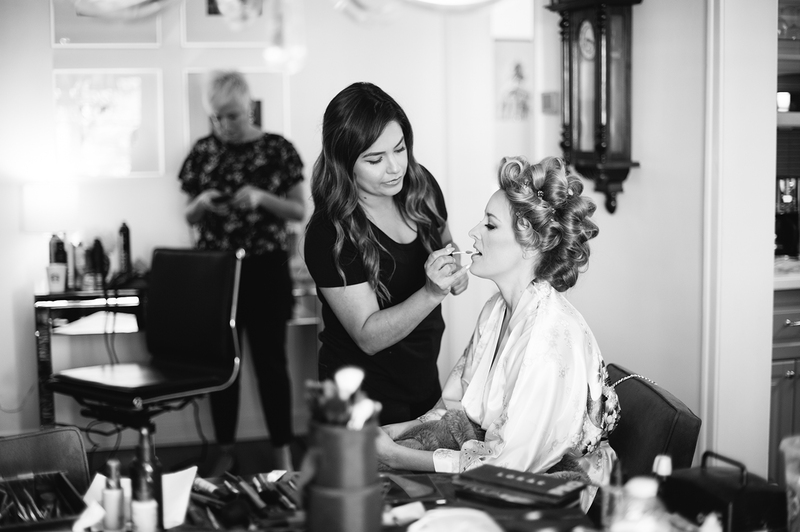 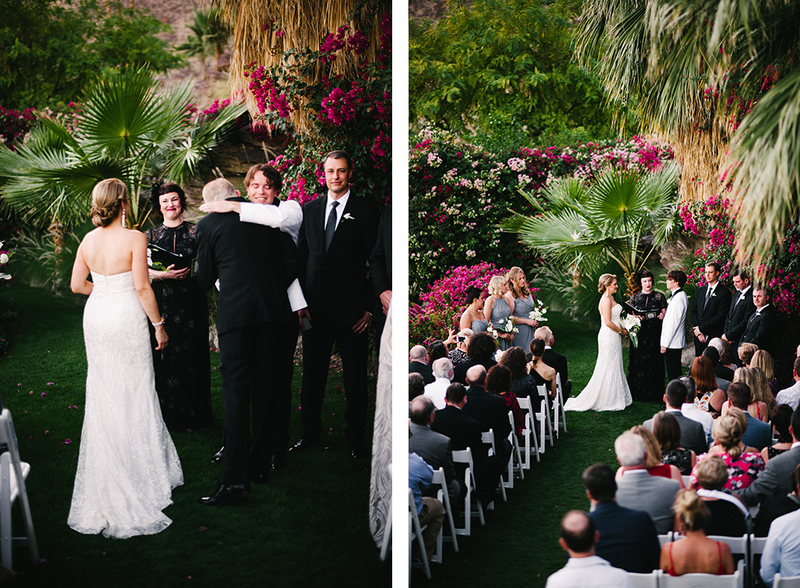 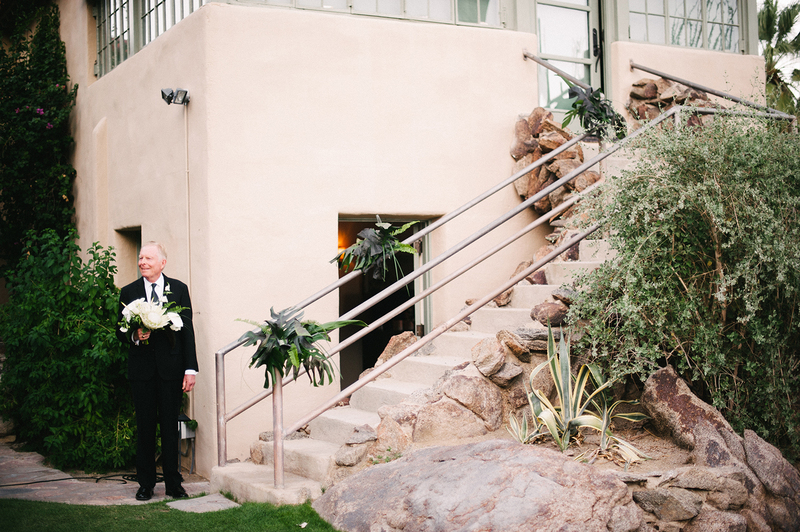 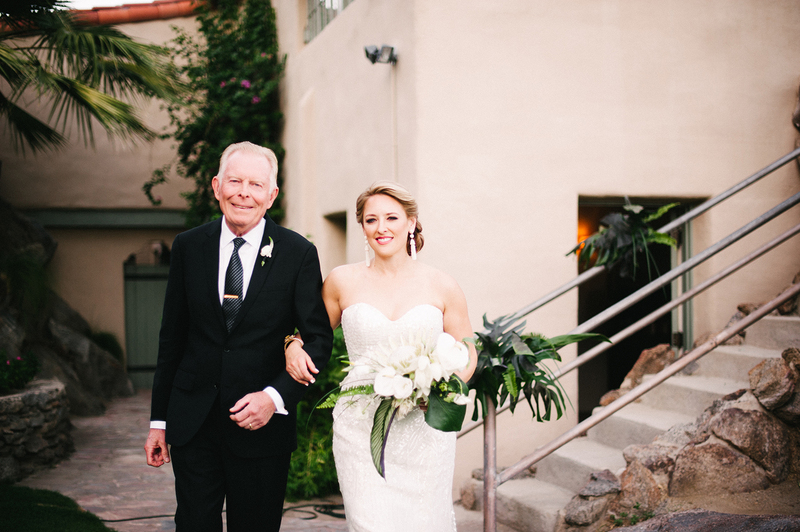 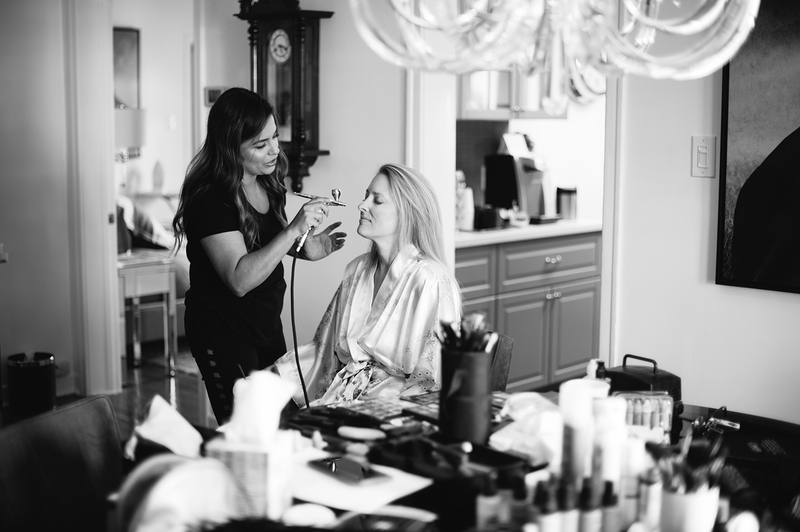 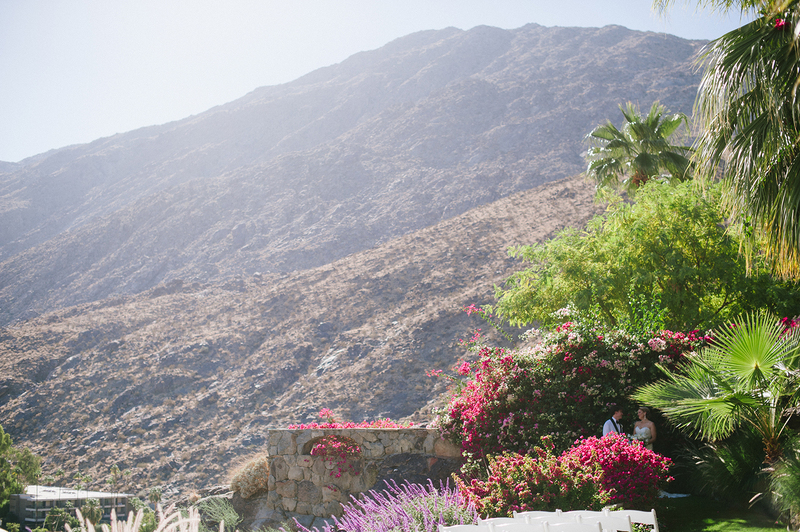 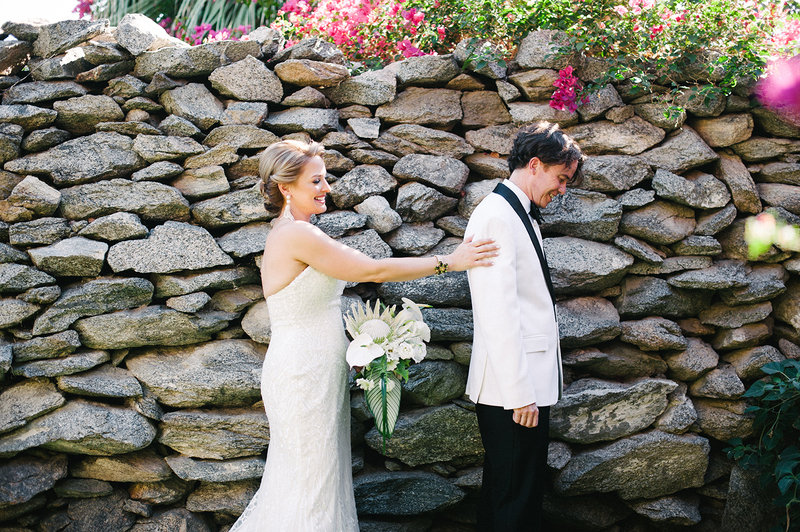 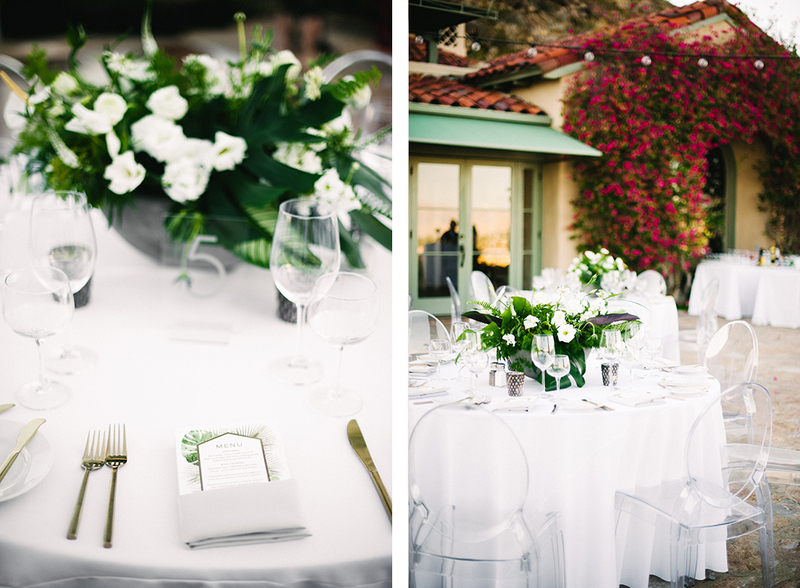 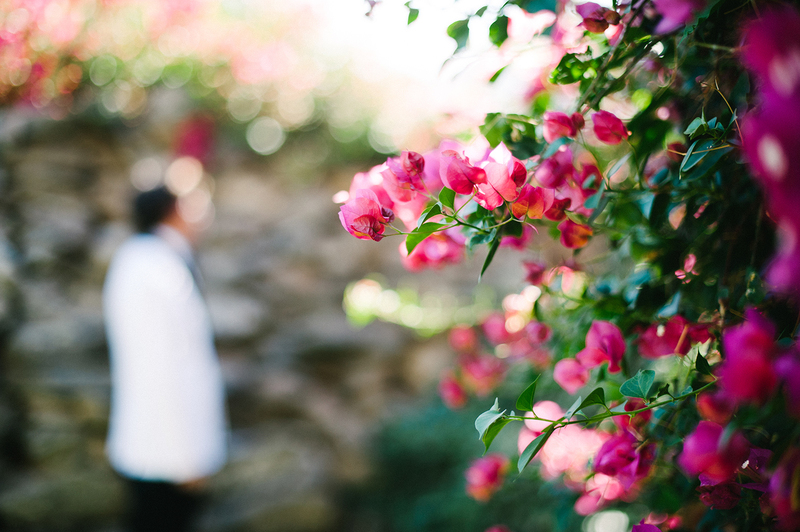 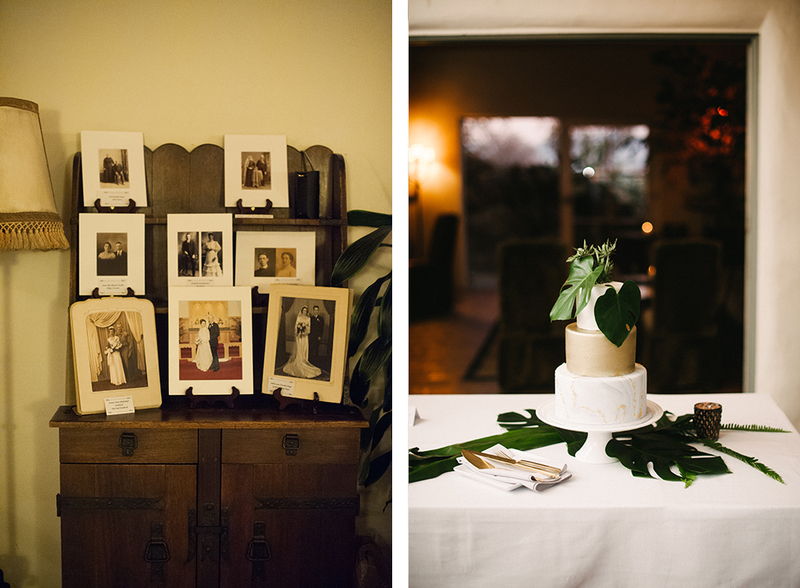 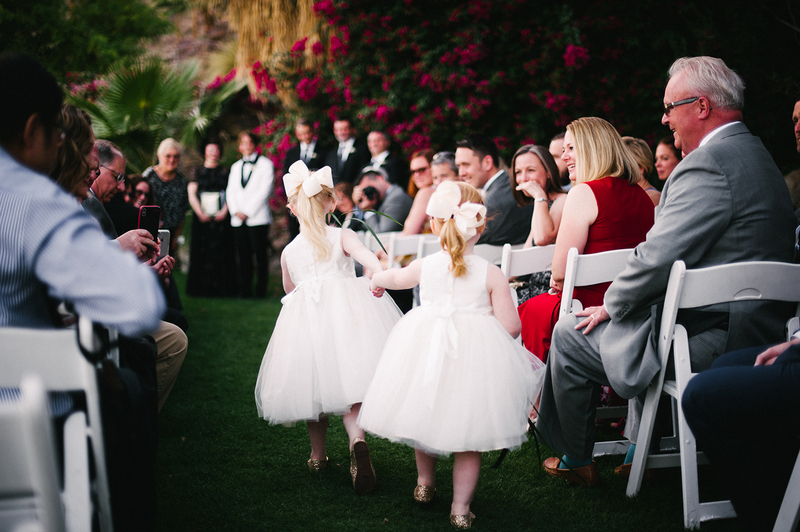 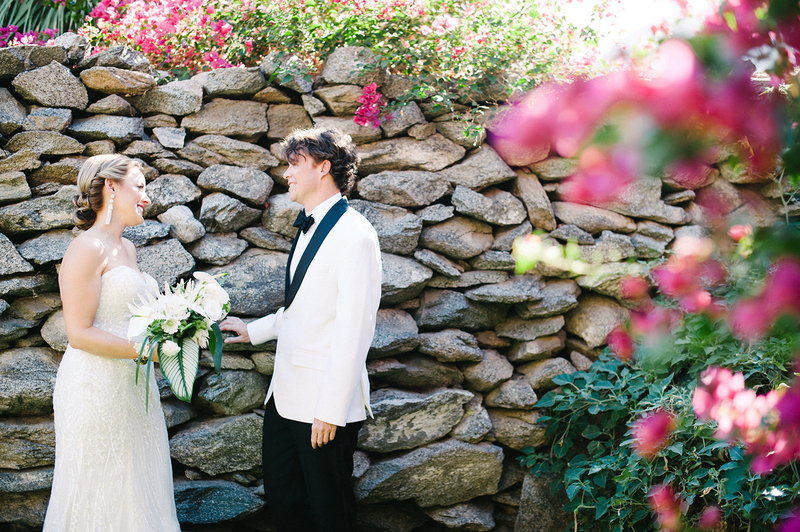 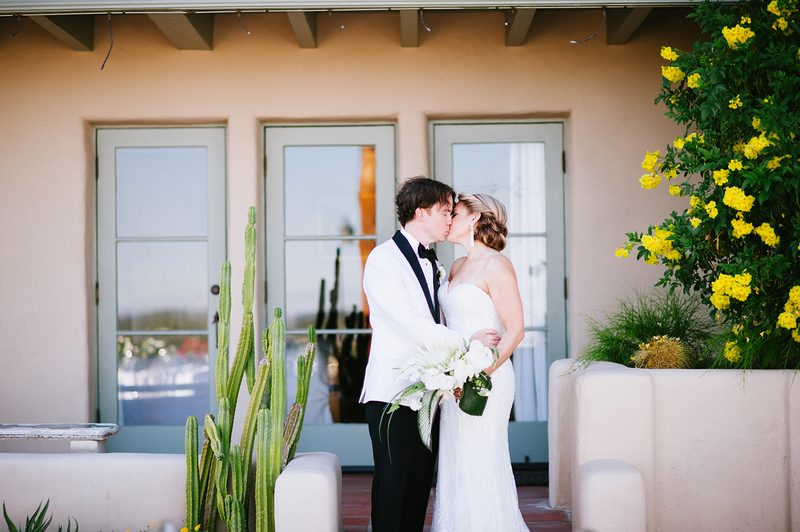 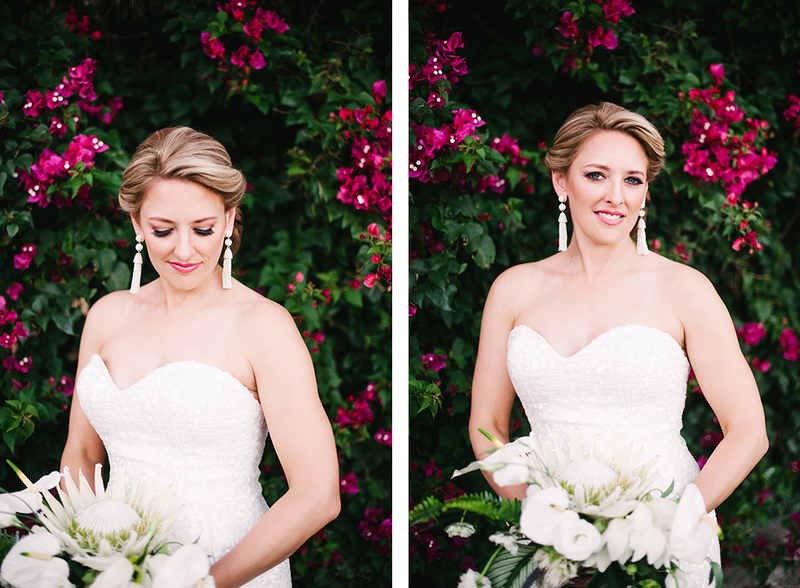 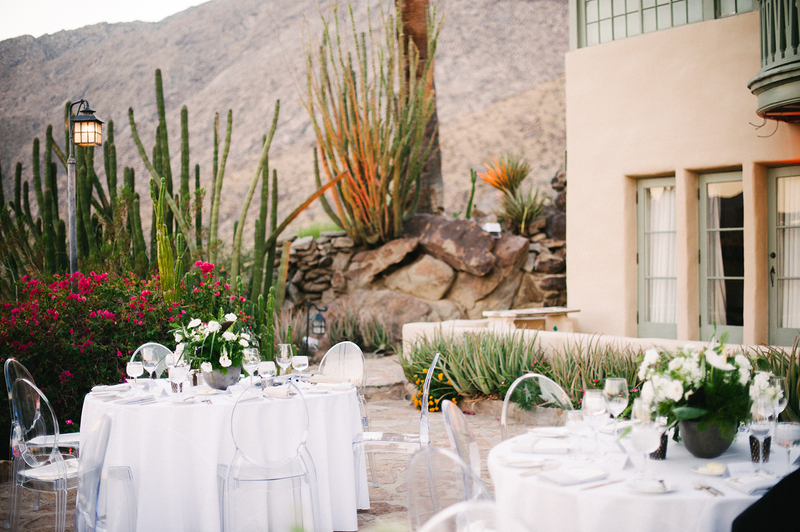 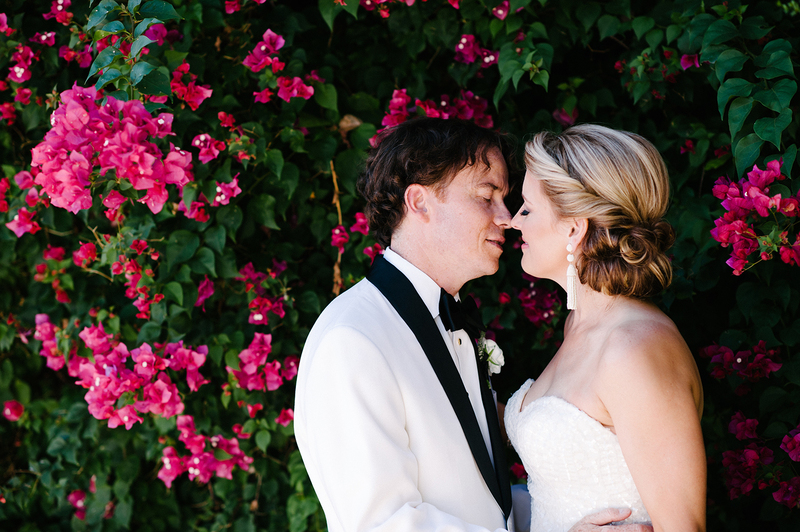 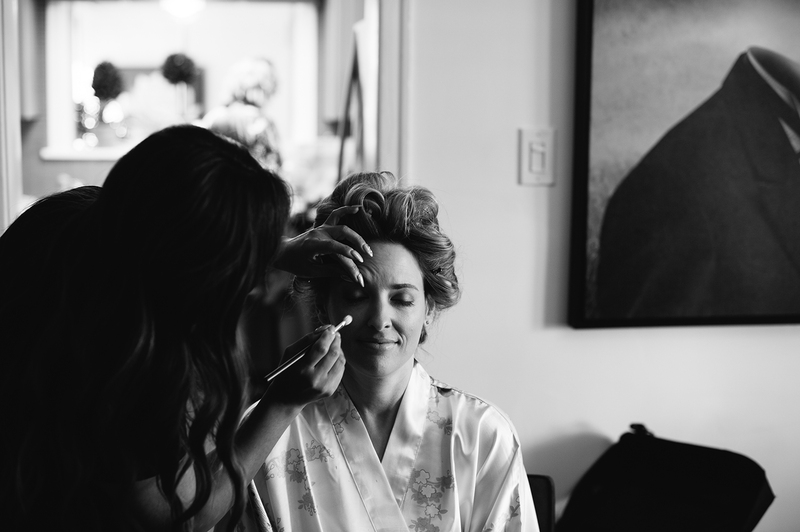 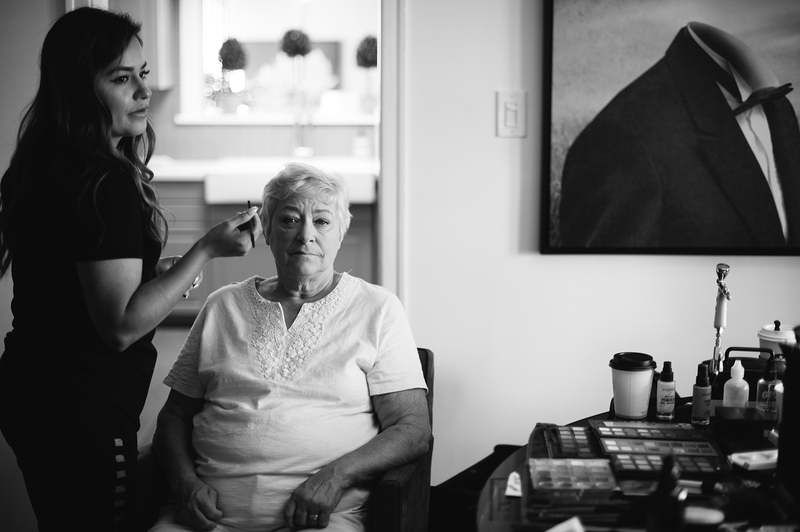 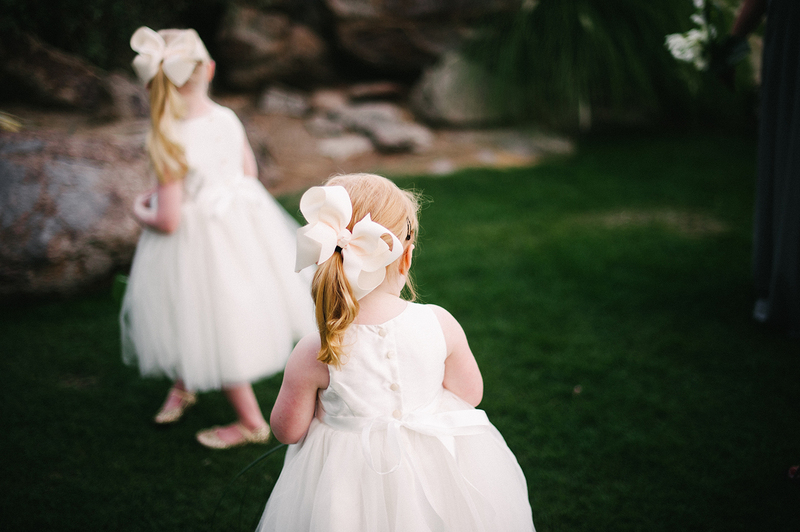 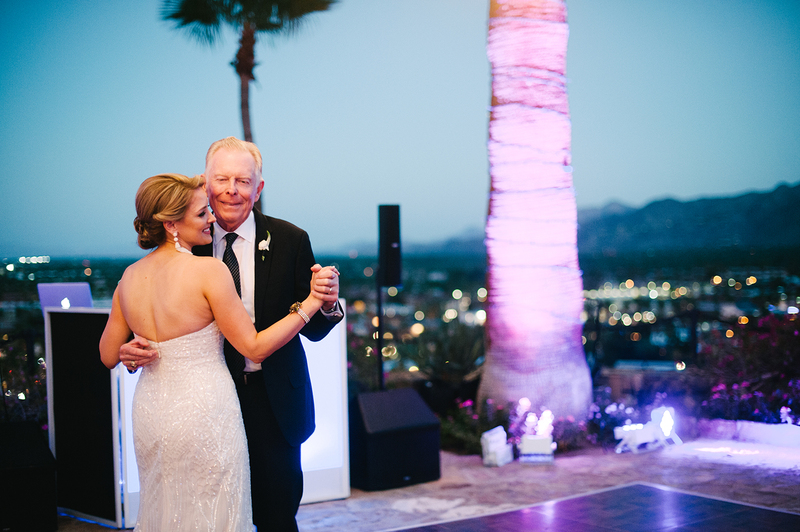 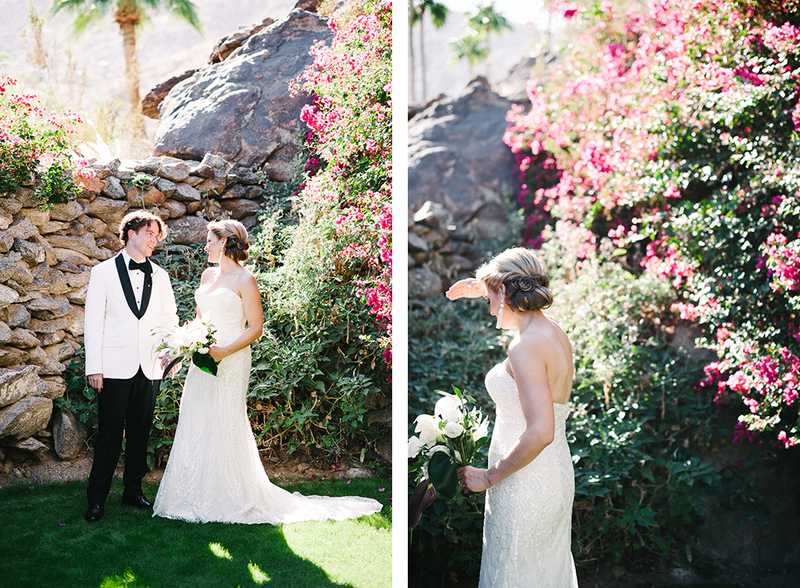 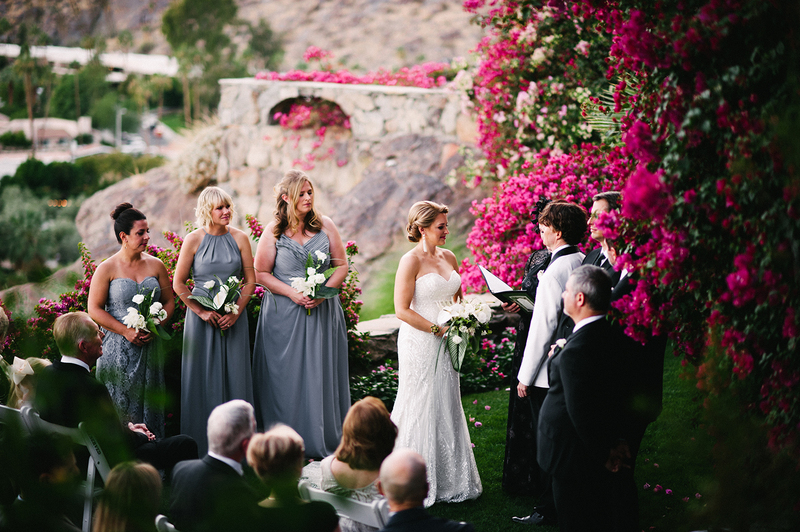 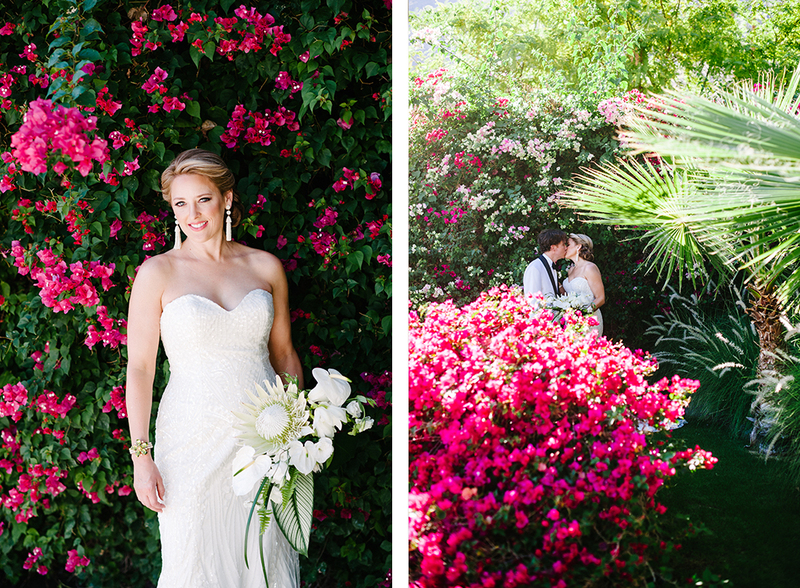 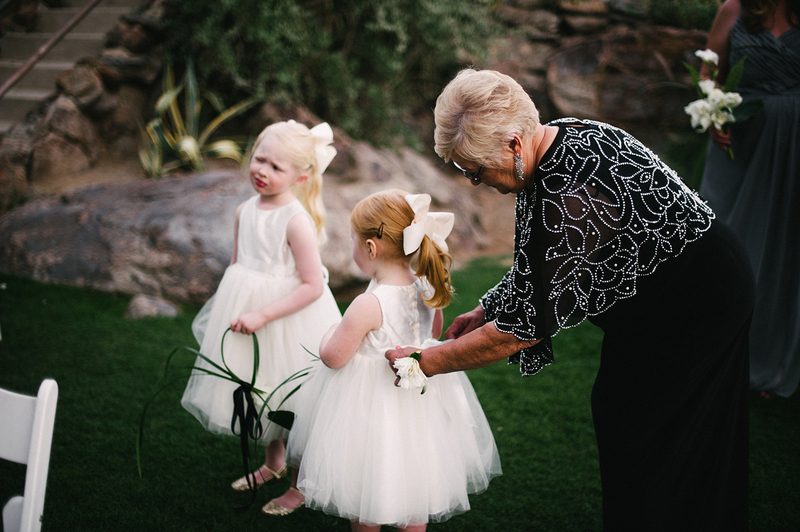 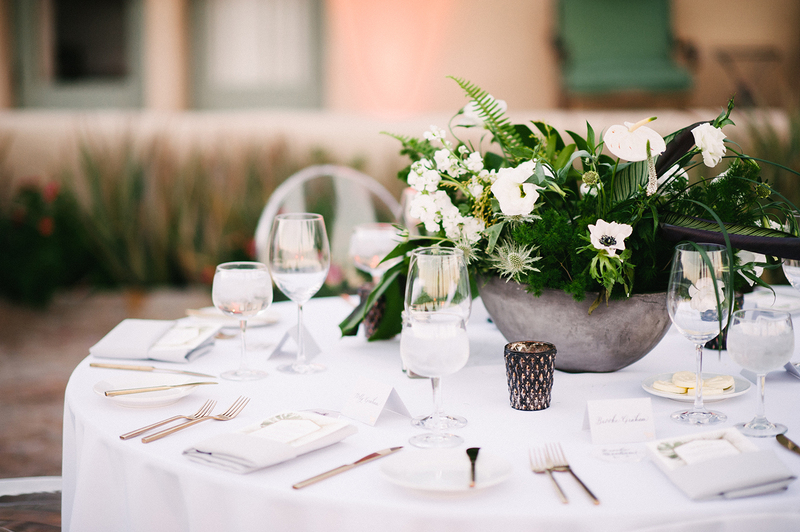 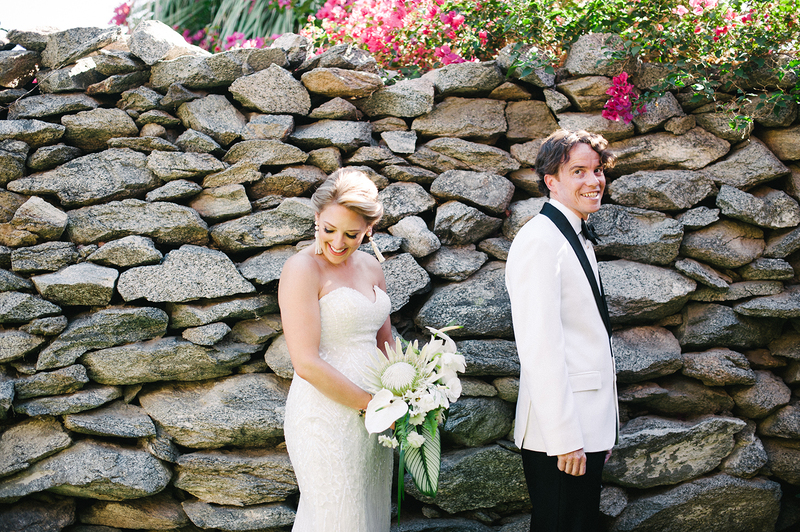 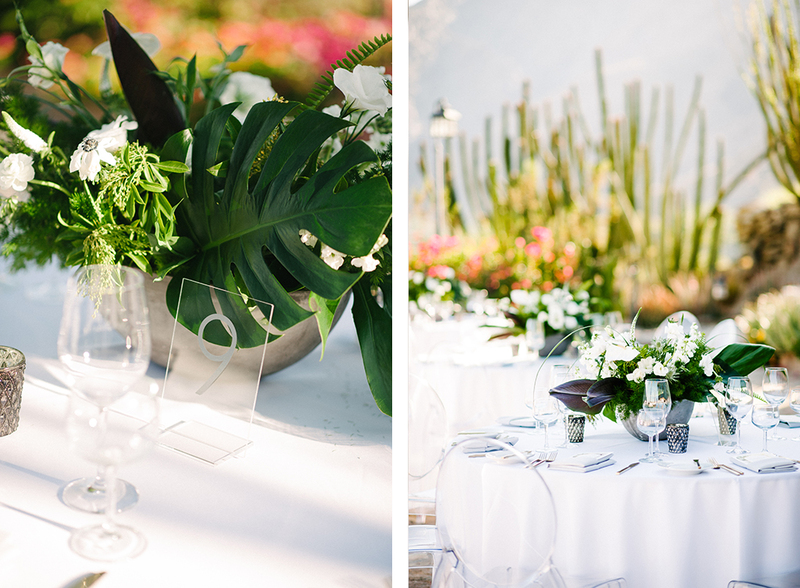 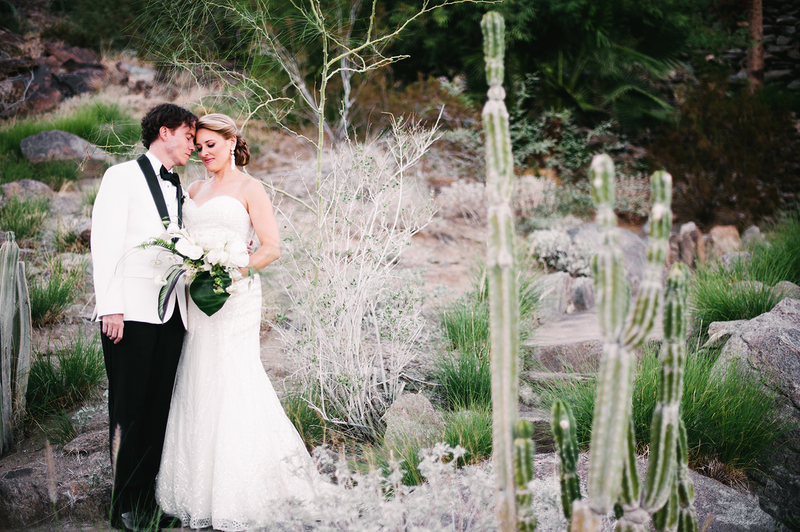 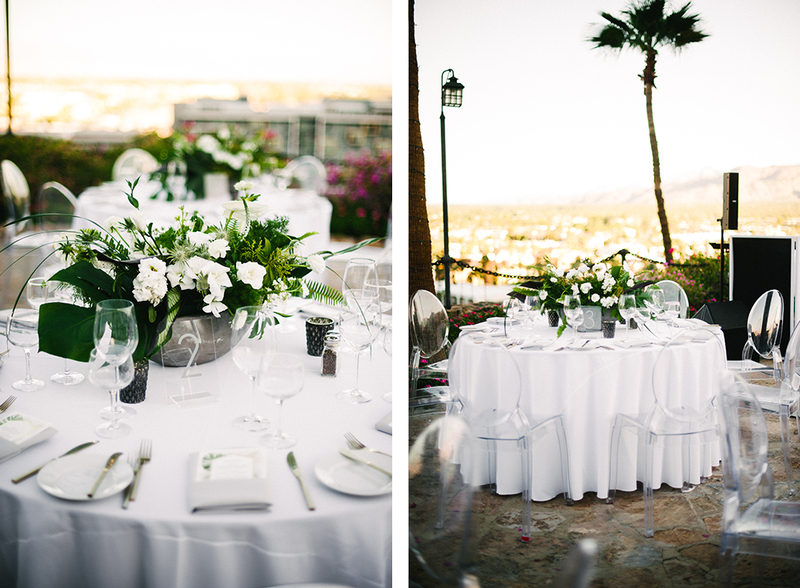 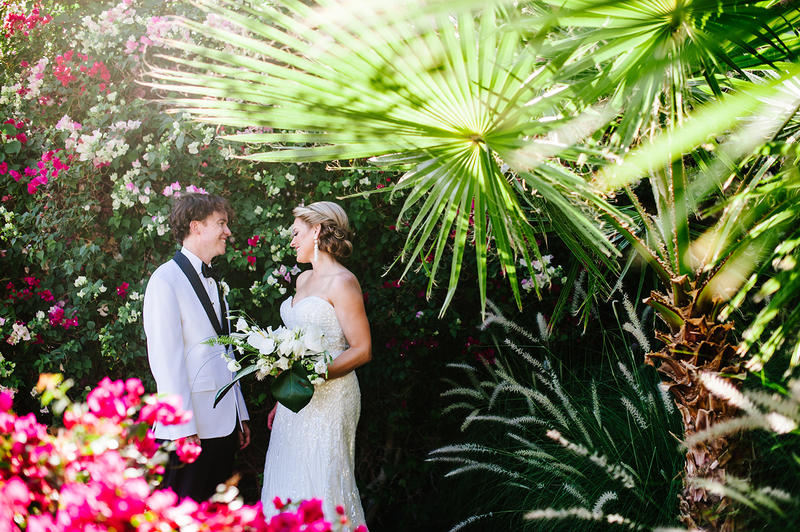 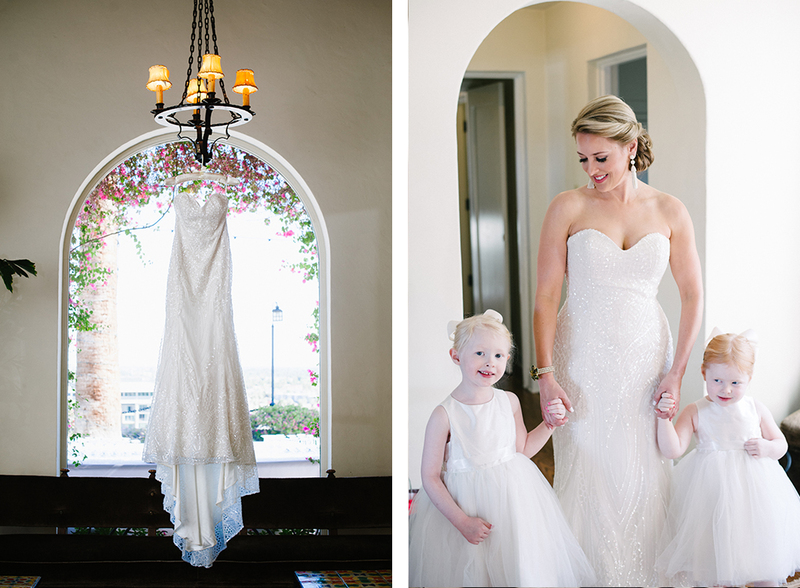 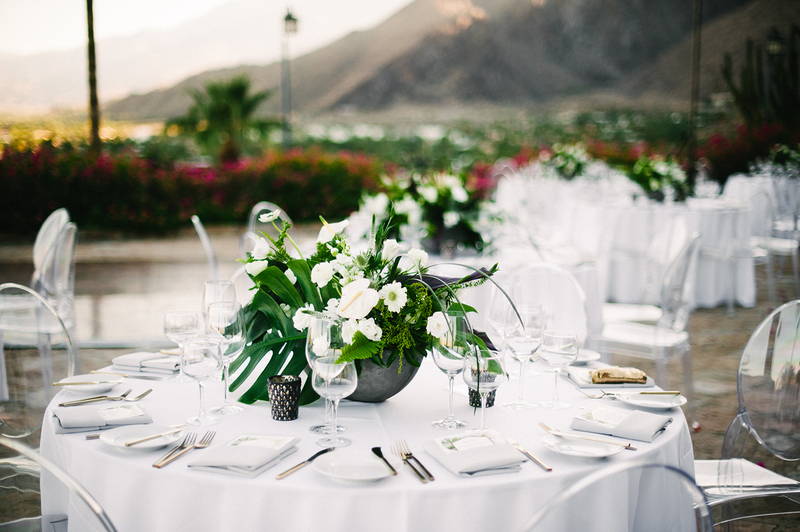 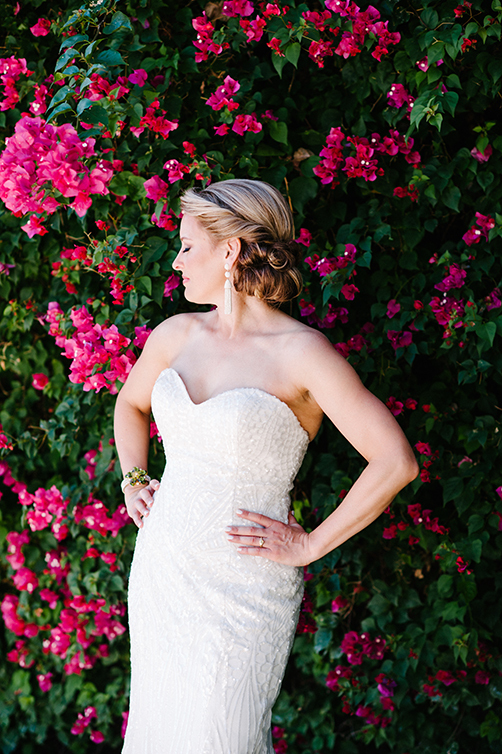 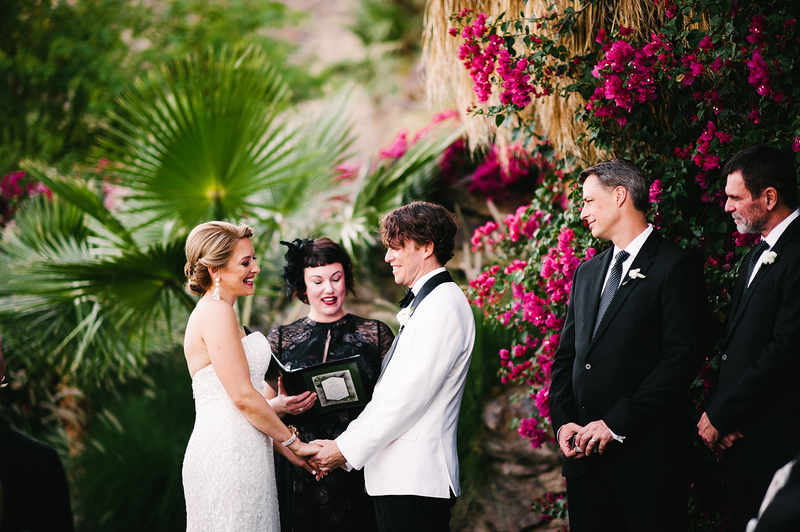 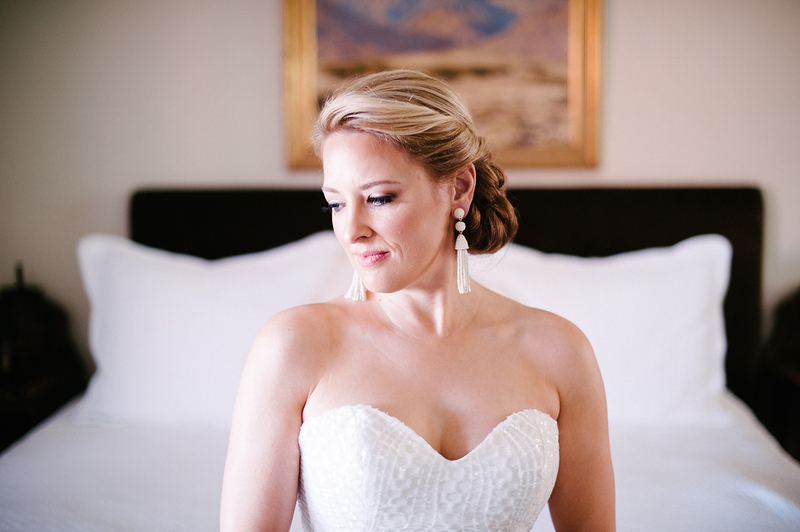 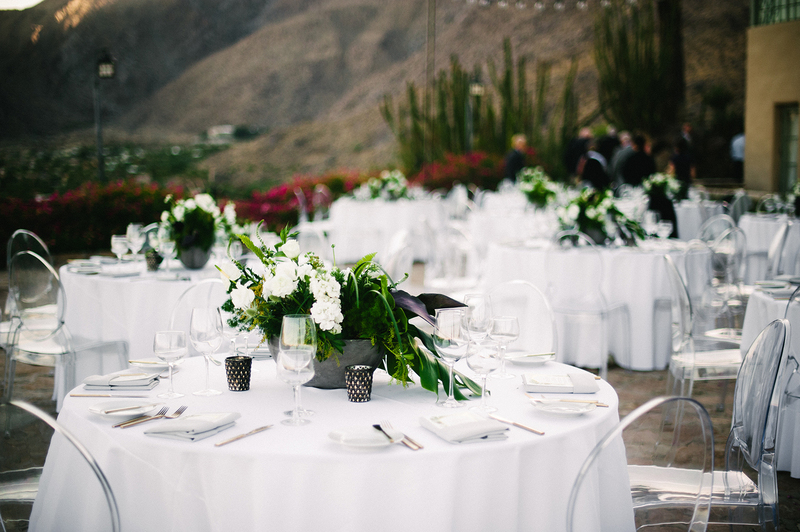 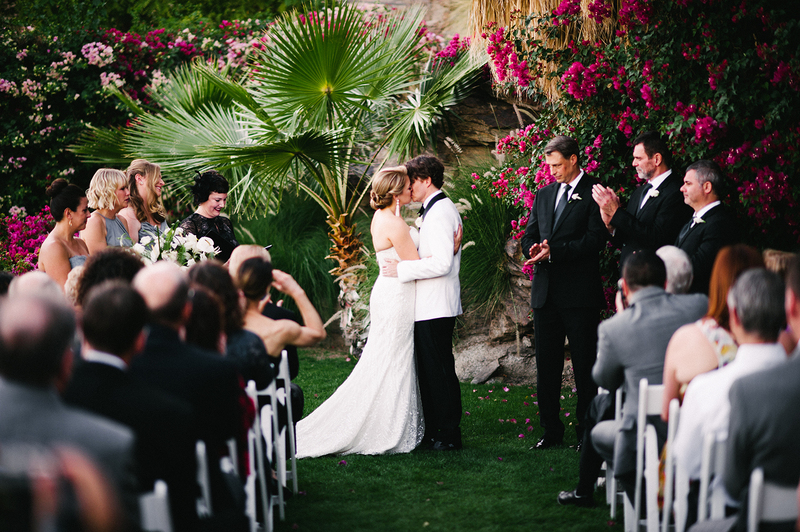 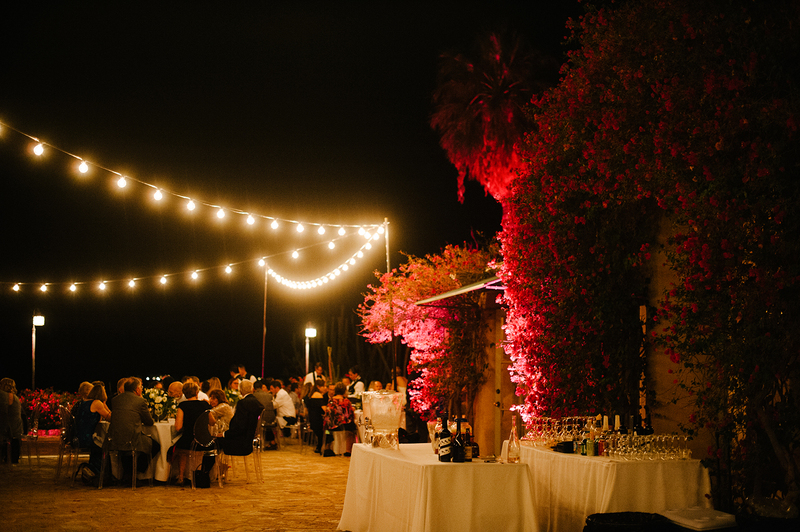 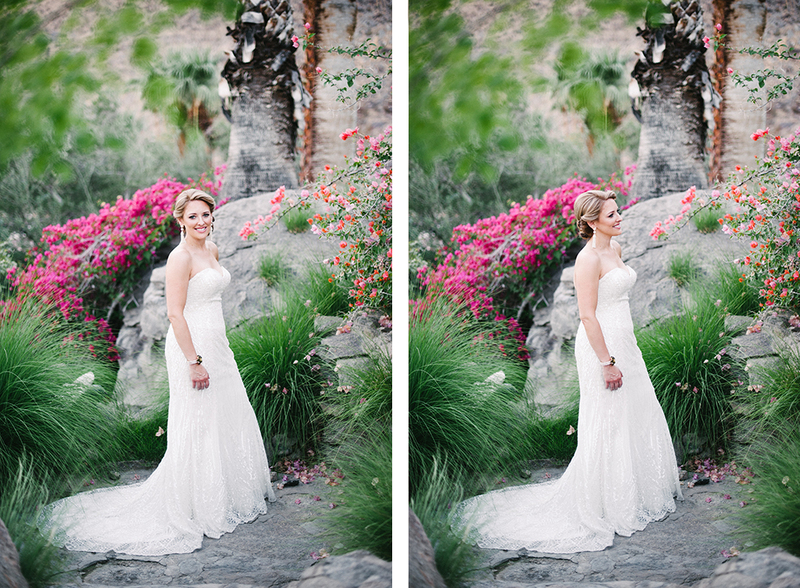 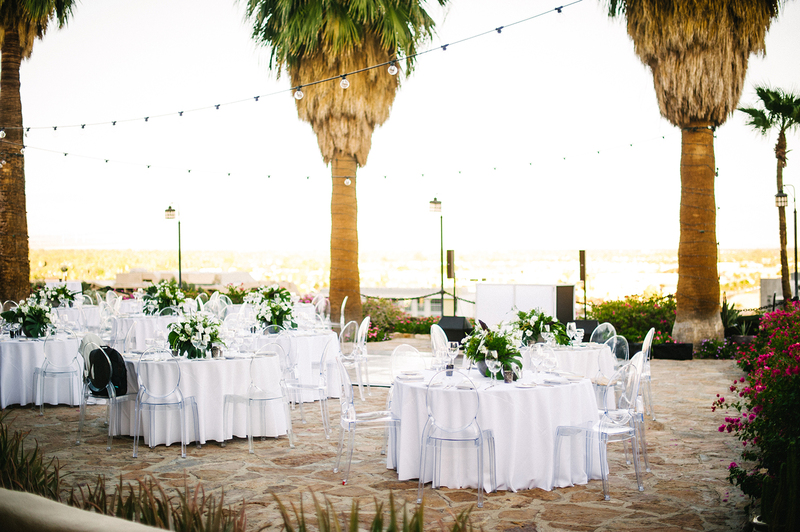 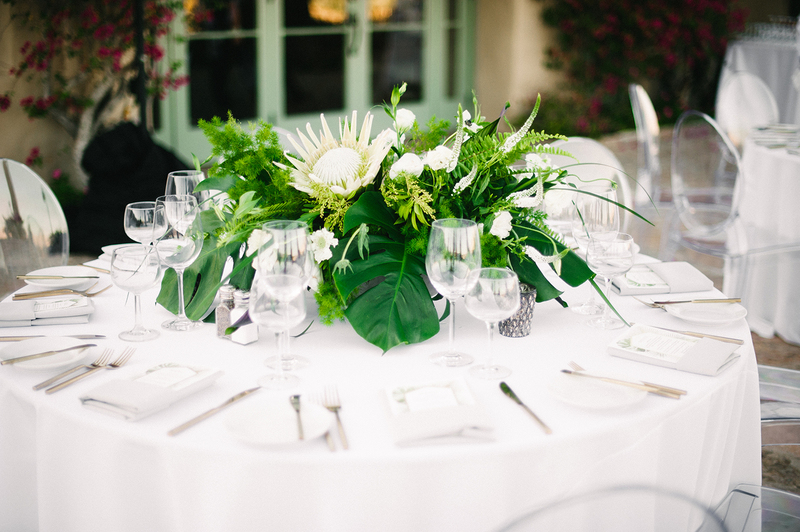 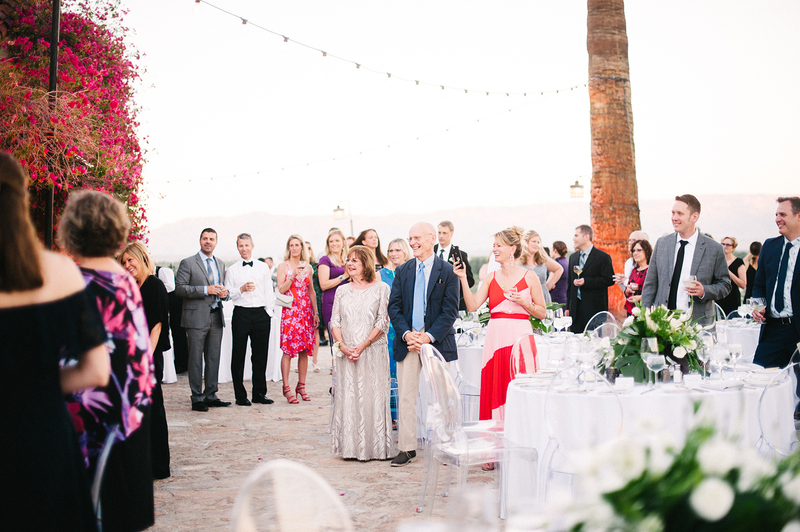 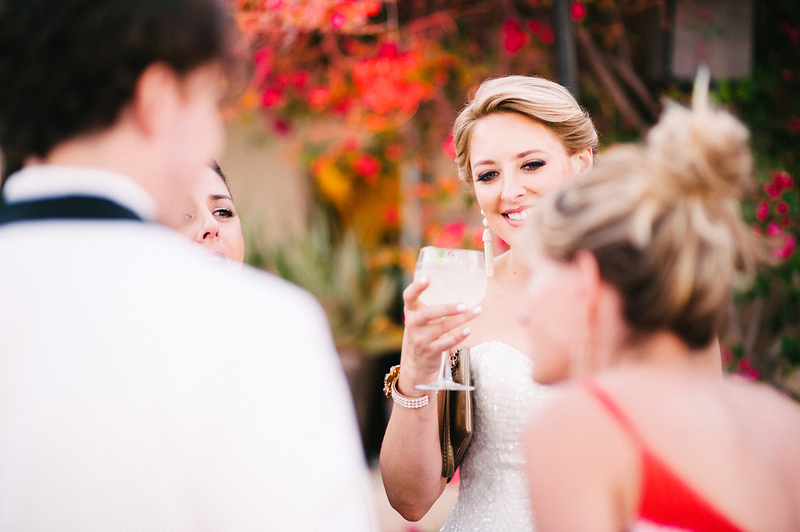 Kelly and Doug’s wedding at The O’Donnell House in Palm Springs was a stunner! 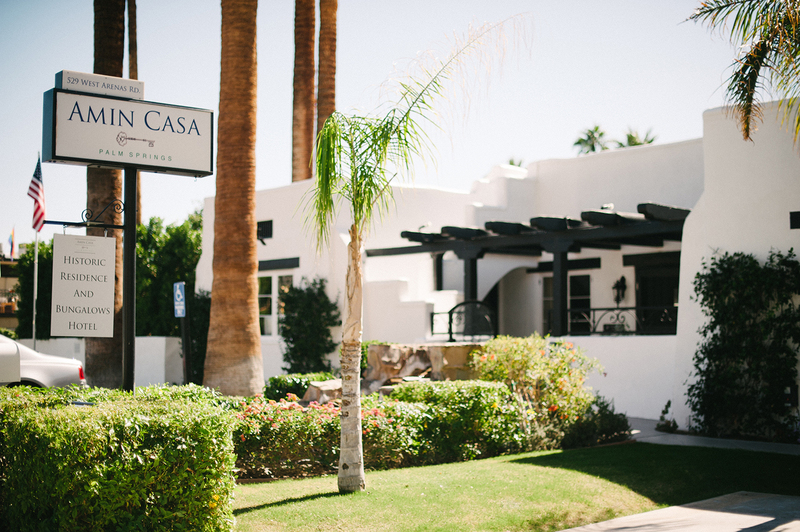 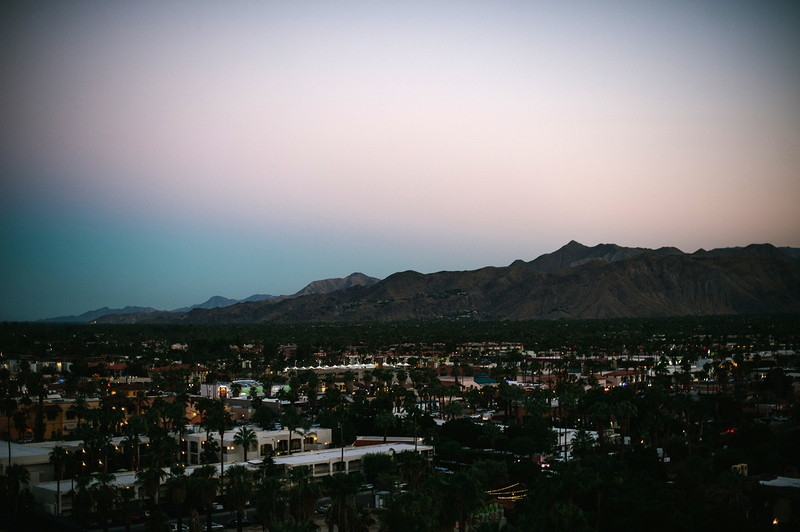 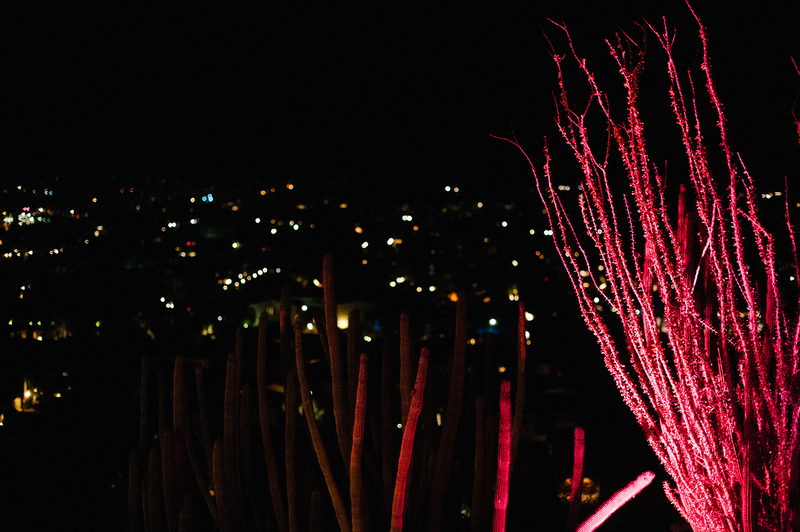 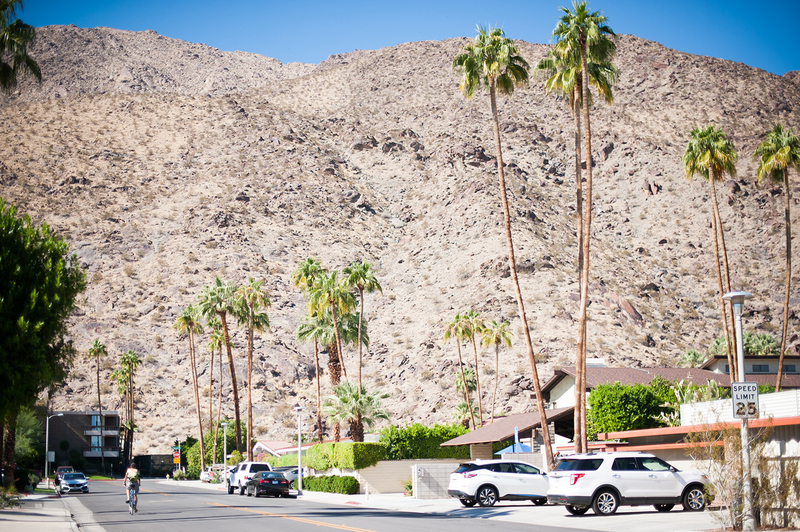 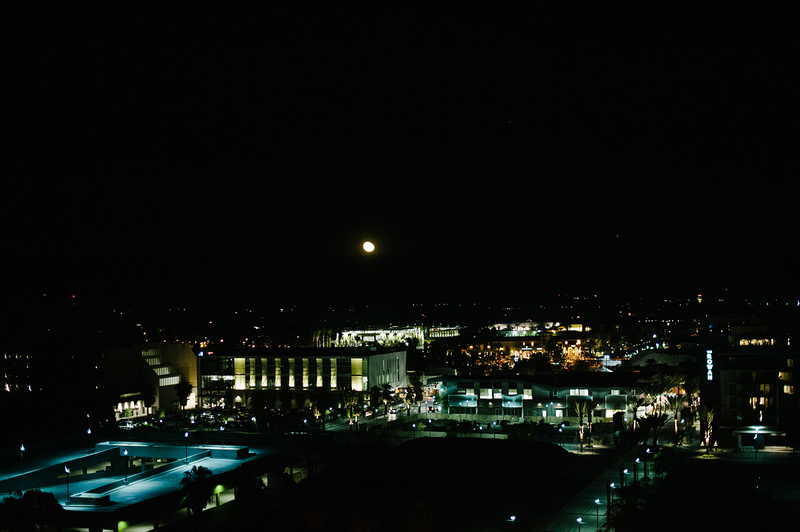 They are both artists and writers and have a strong appreciation for architecture and history as well as the desert, and Palm Springs holds a special place in their hearts. 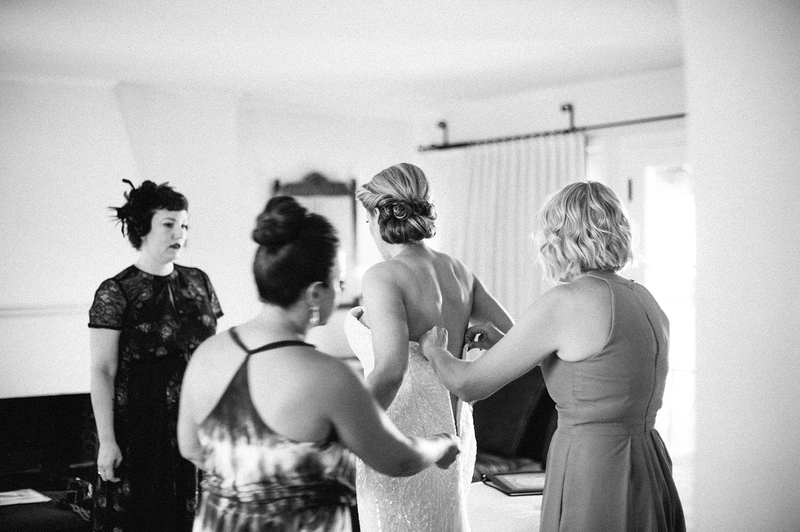 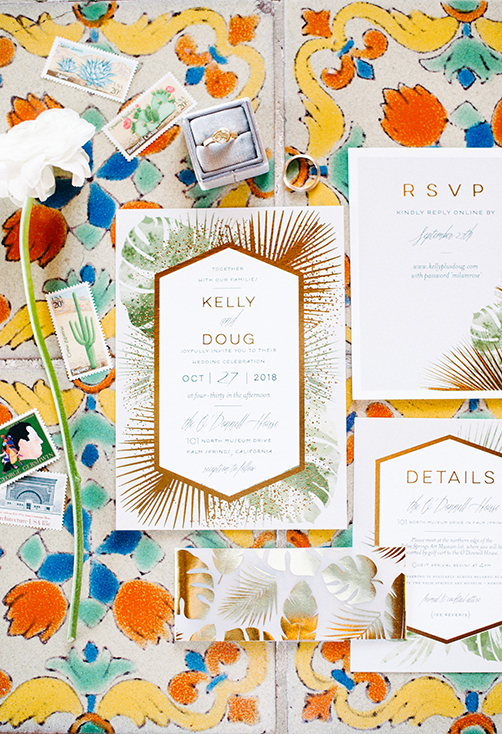 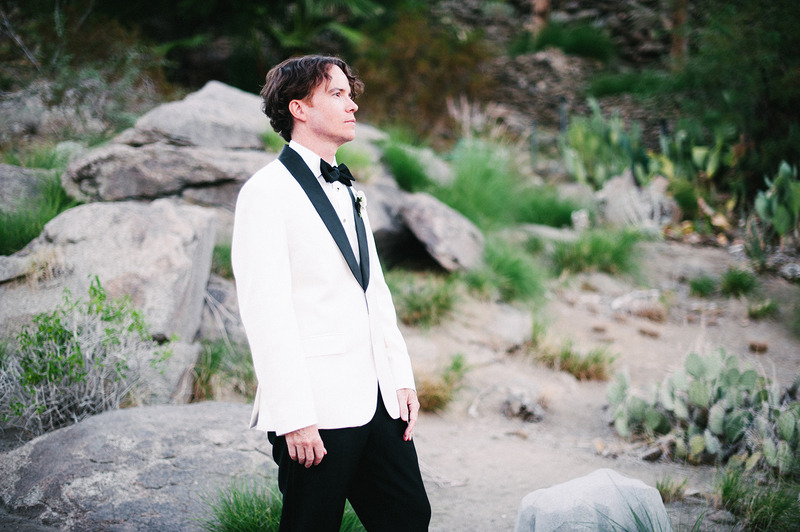 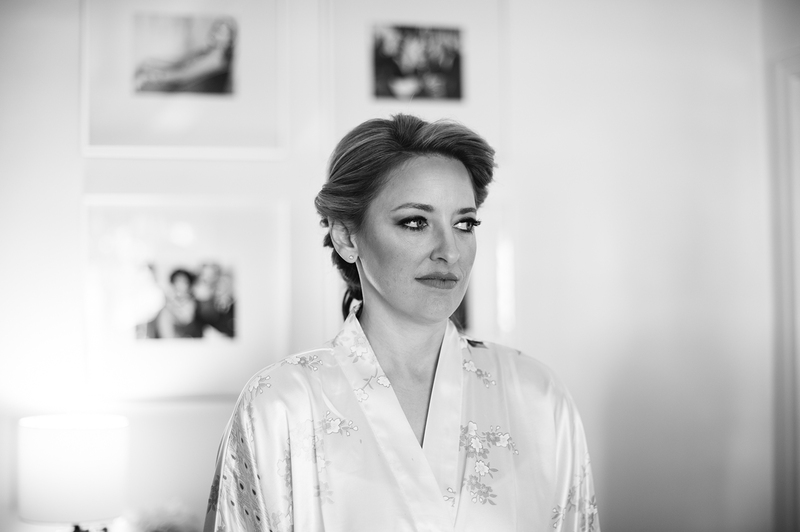 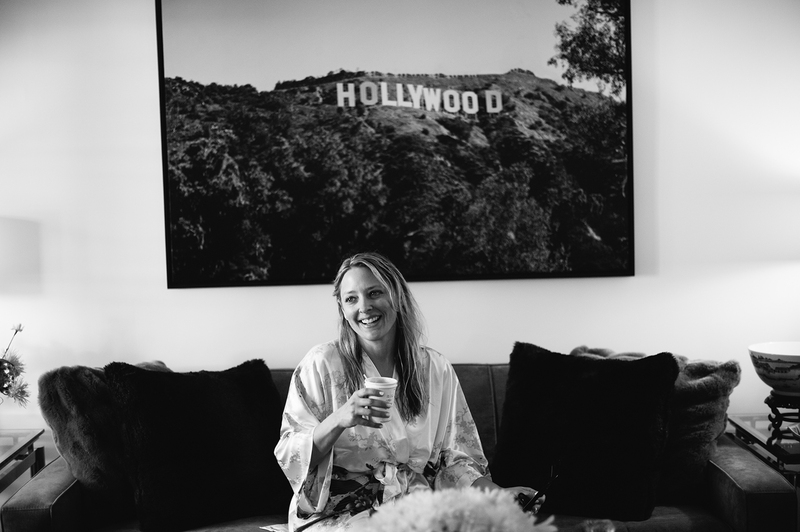 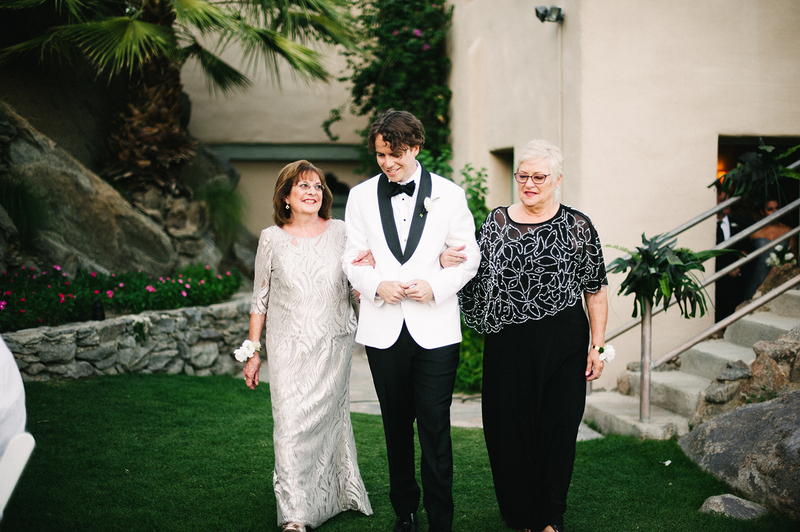 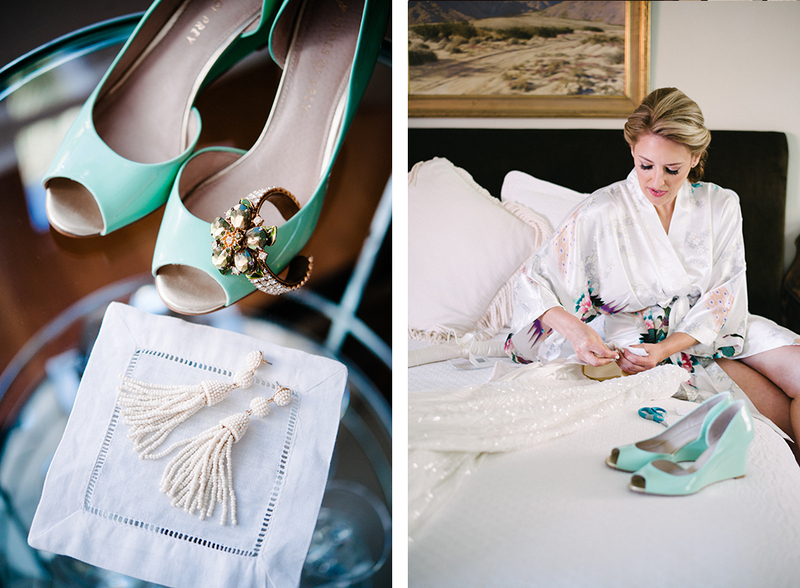 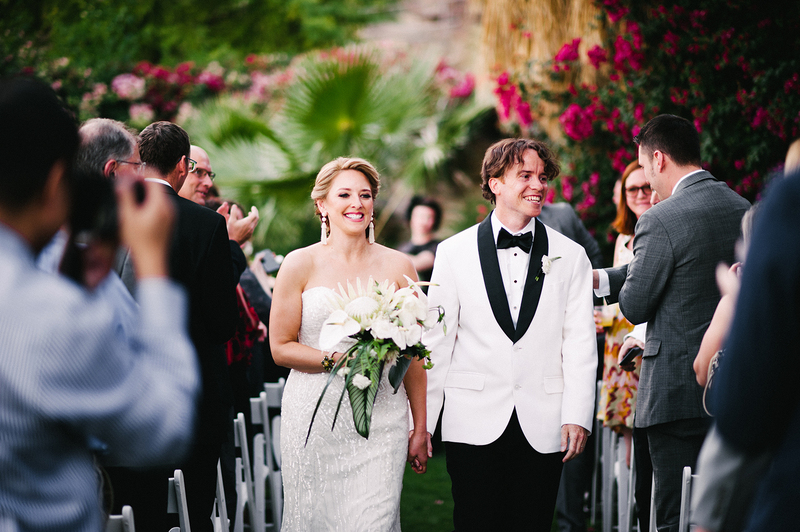 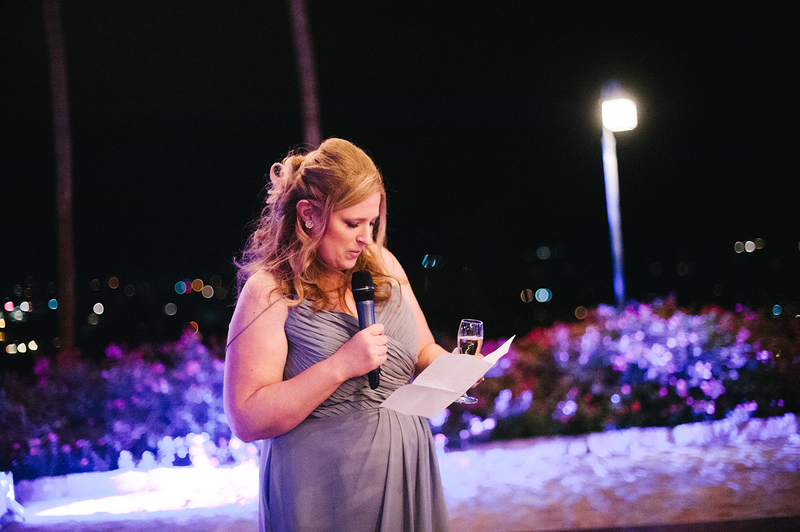 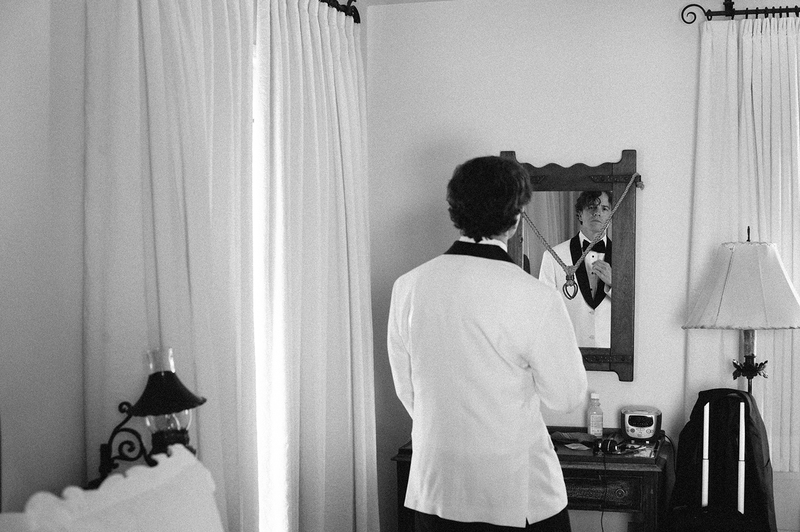 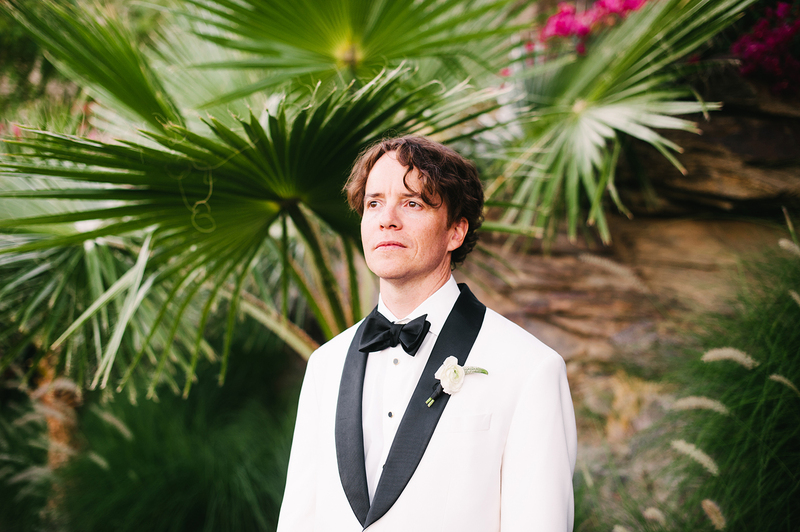 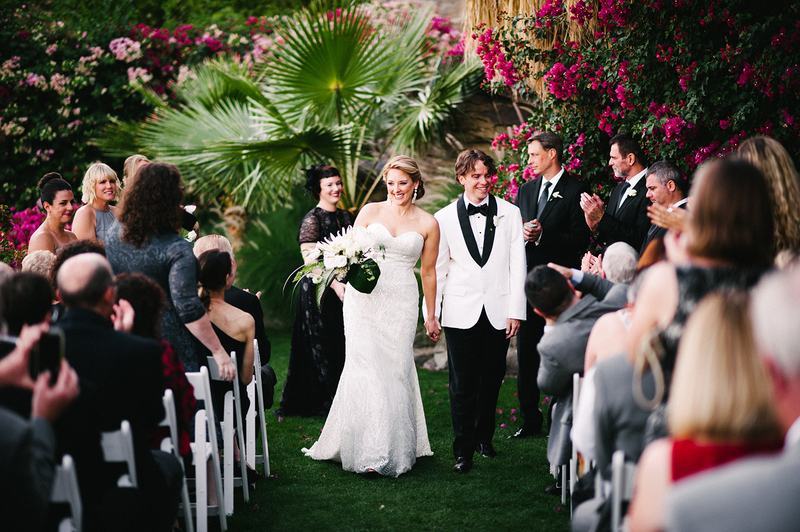 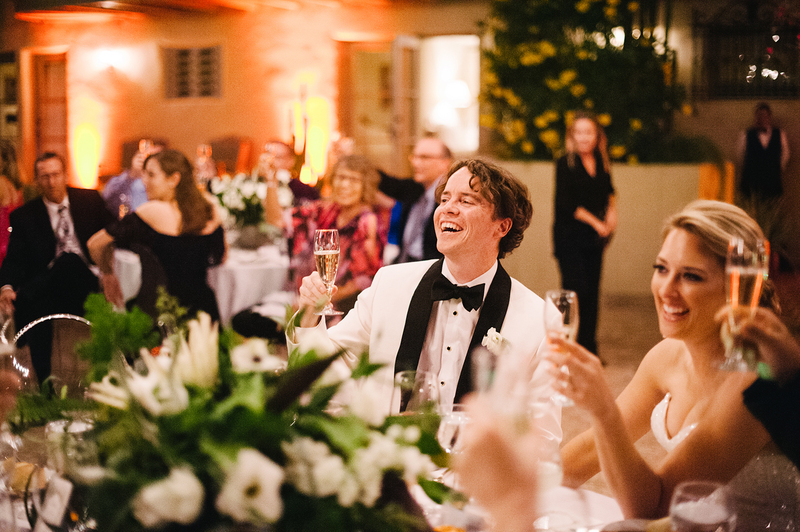 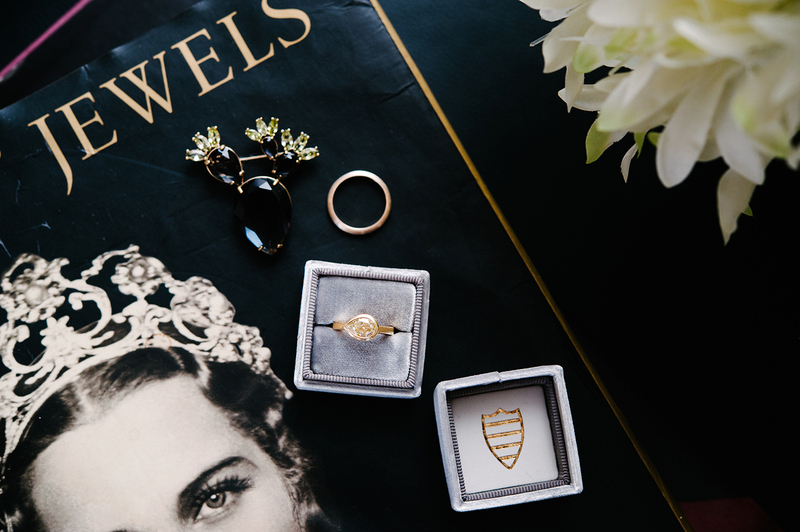 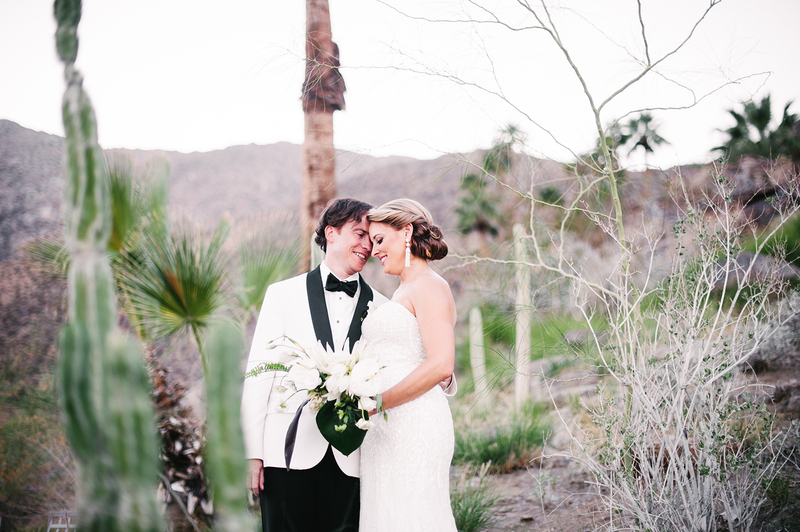 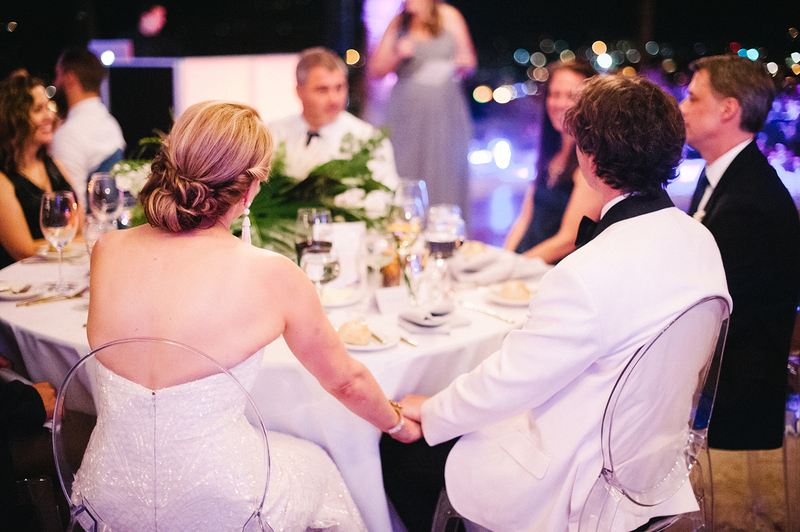 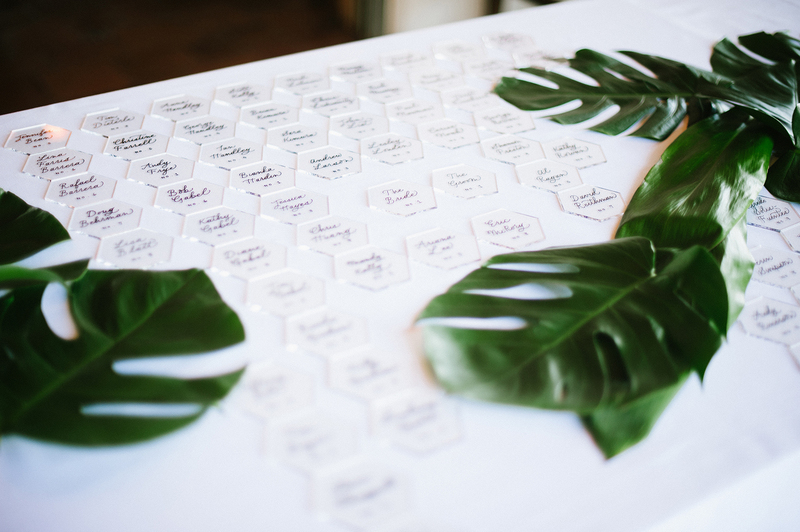 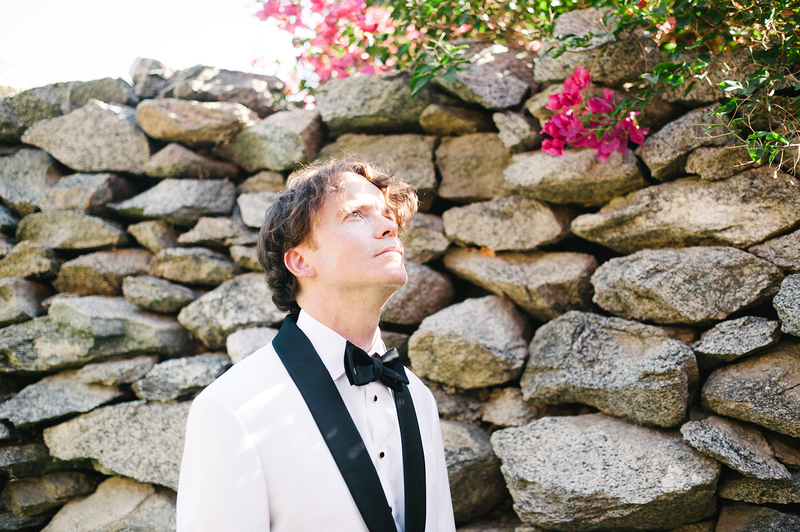 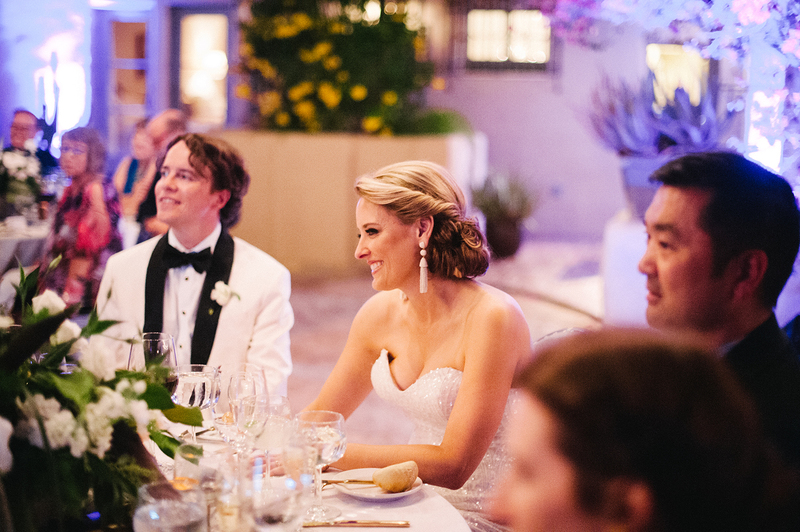 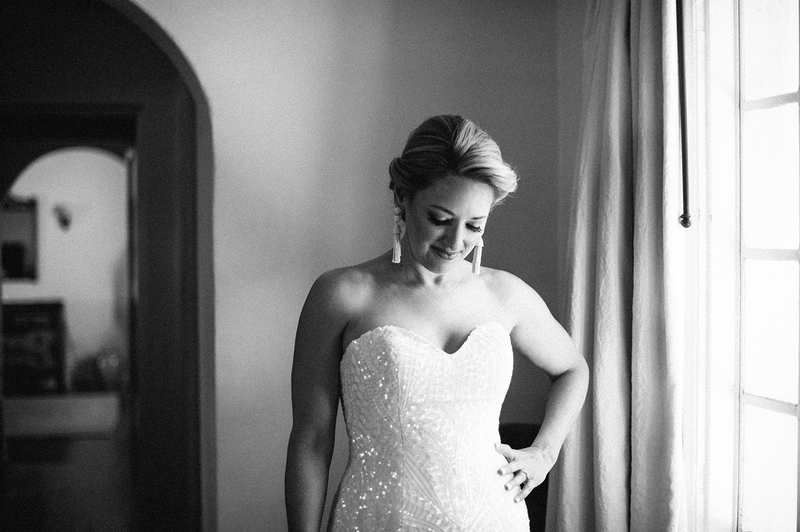 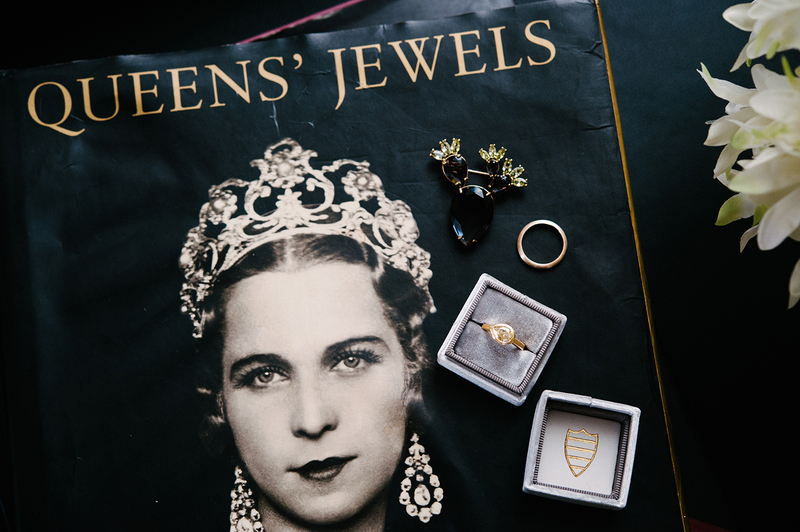 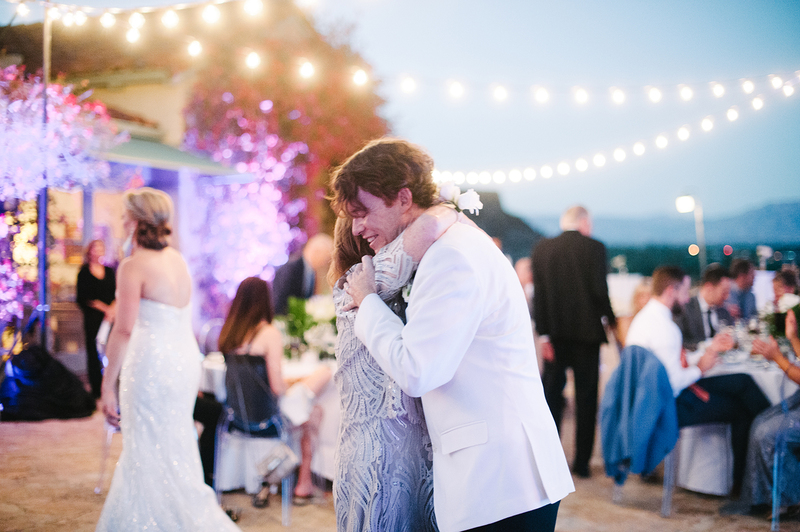 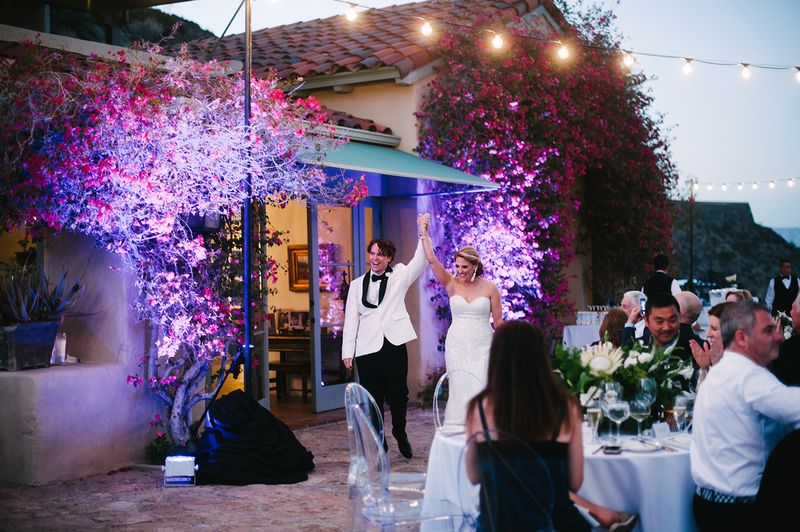 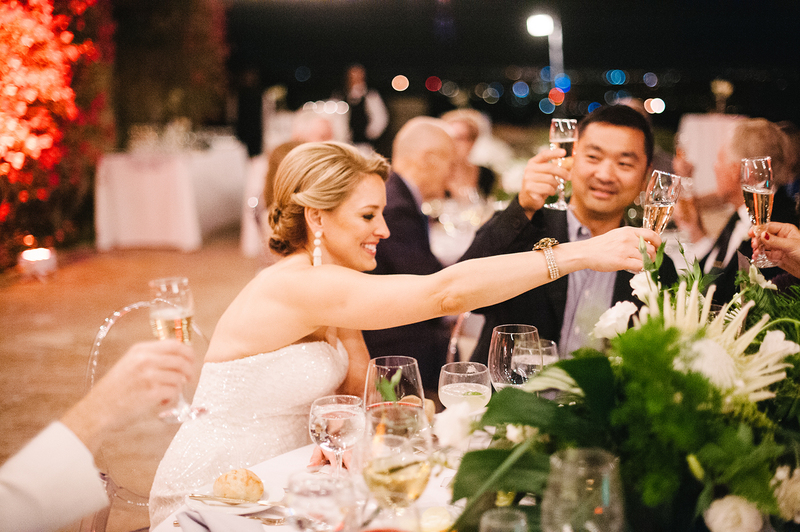 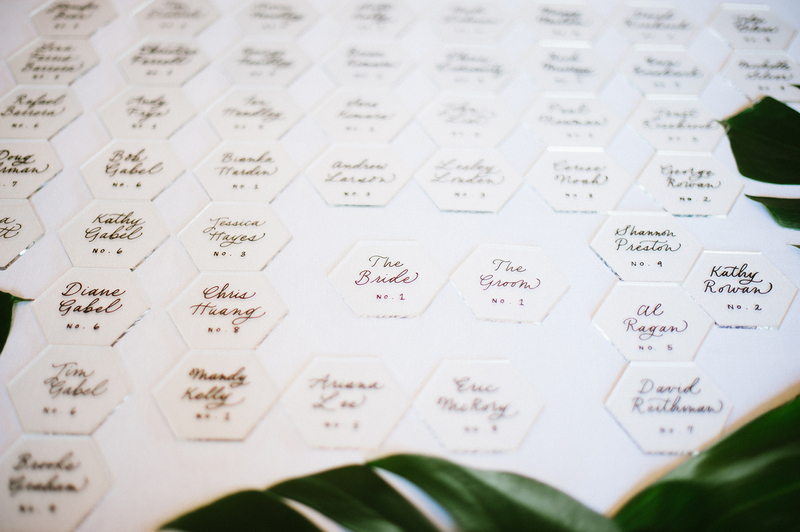 Kelly, with a keen eye for art and design thought through every little detail; from her own wedding ring and shoes that she designed herself, to Doug’s Ivory tux jacket and her Wtoo wedding gown with a sequin design that reflected the architecture of Palm Springs. 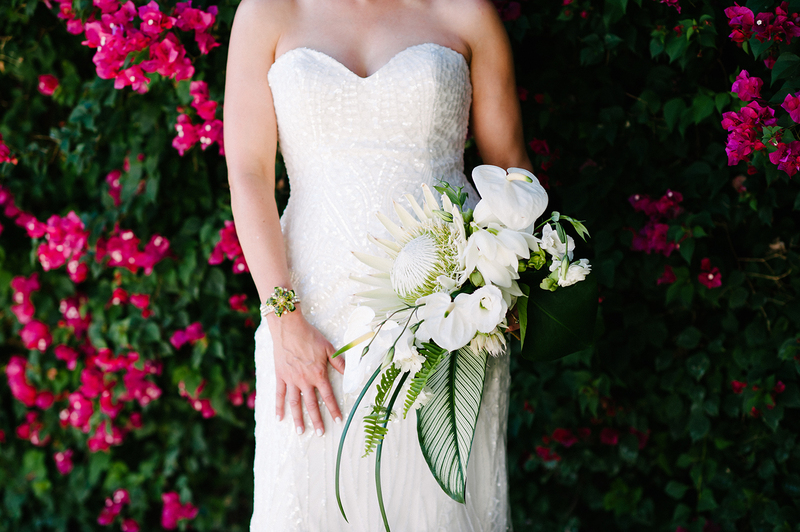 She also incorporated plants and flowers in her bouquet and center pieces that are specific to the area such as the palms and protea. 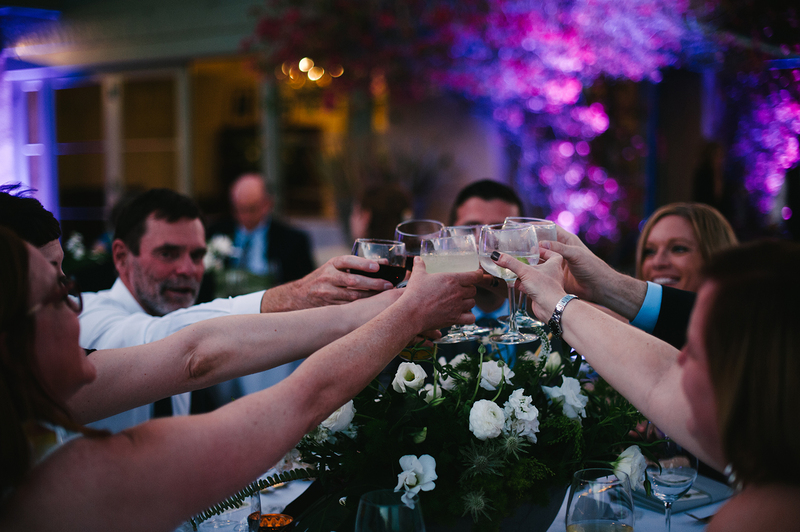 Another special note is that Kelly and I, along with my husband and two of the girls in the wedding party and their husbands all went to Grad school at Cranbrook Academy of Art, so this was not only a time to celebrate the wedding of Kelly and Doug, but also a reunion of friends. 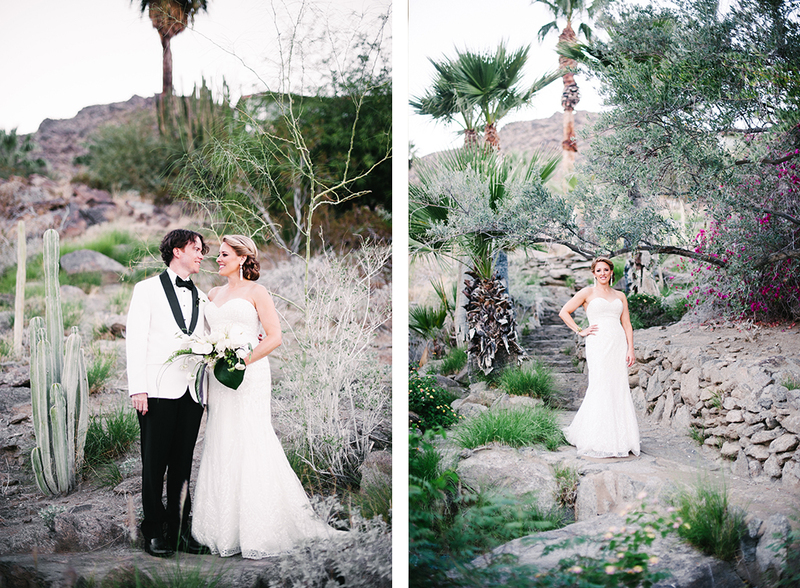 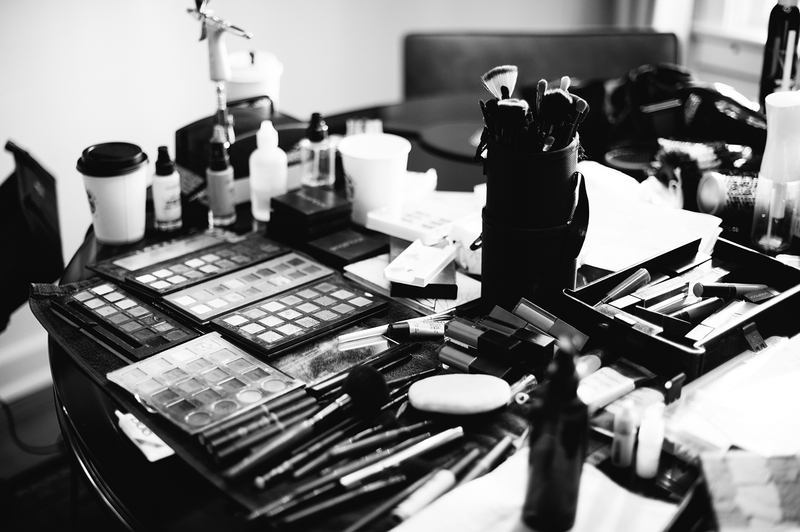 This was a dream wedding for me to photograph on so many levels! 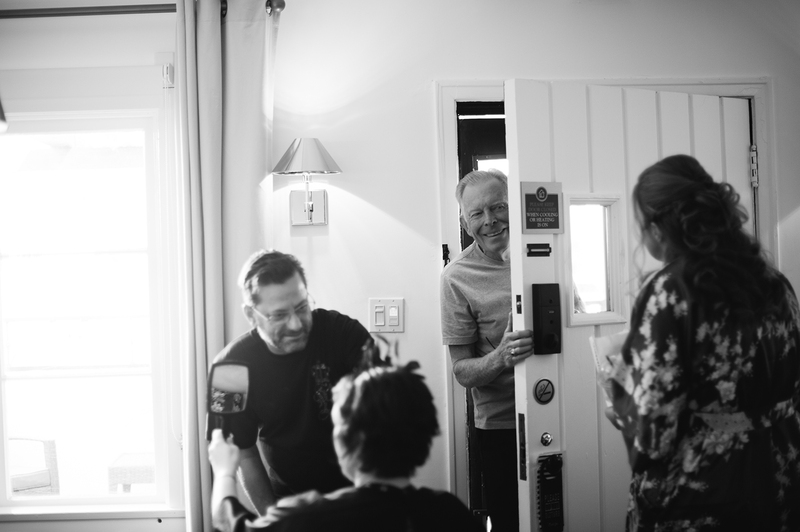 Many thanks to Kelly and Doug for being the beautiful and generous people that they are. 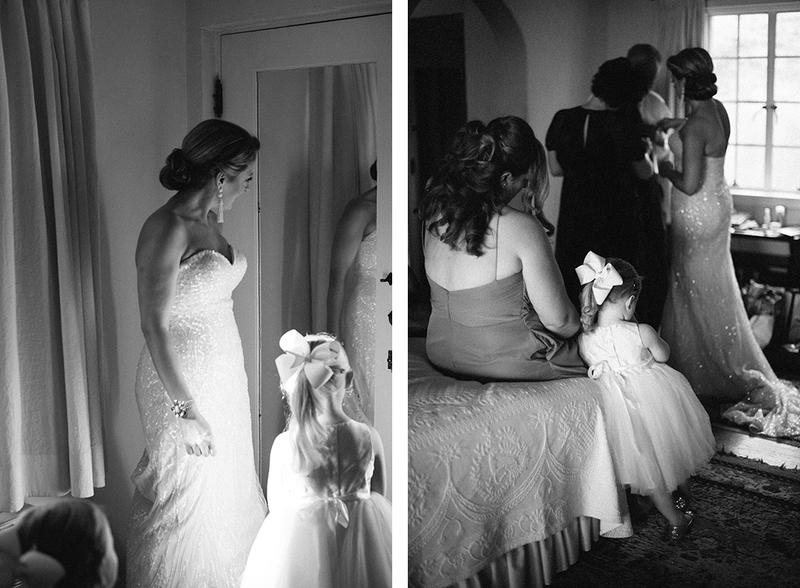 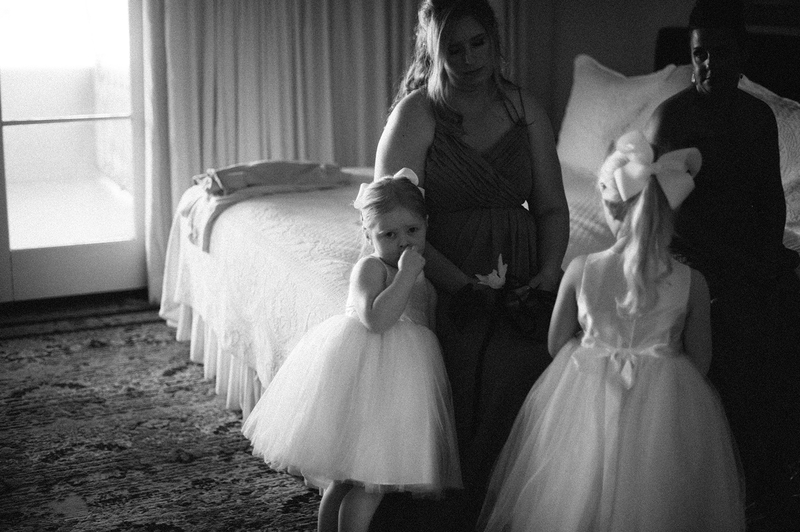 And thank you to Jessica (bridesmaid/secret photographer) for the extra photos! 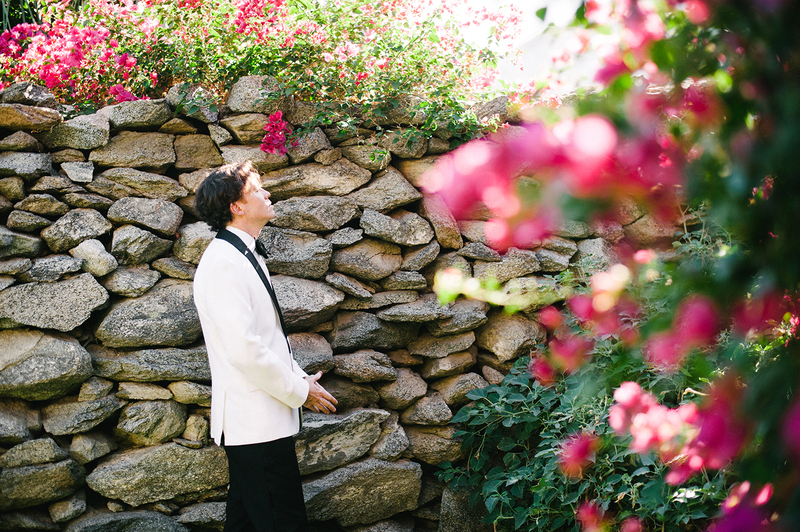 dotting the grounds of the home and immersing guests in old world elegance.